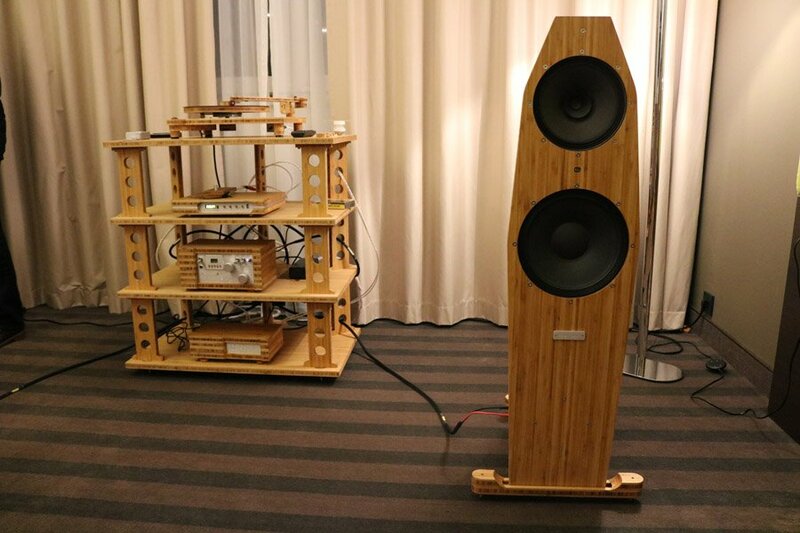 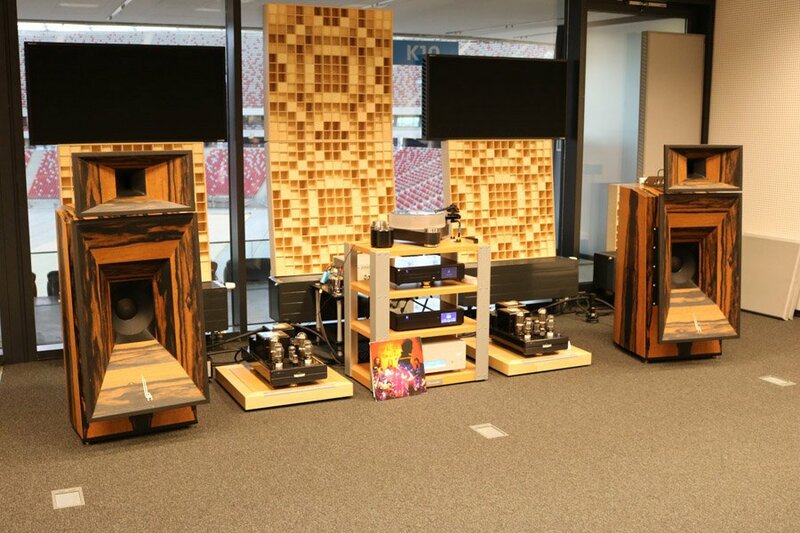 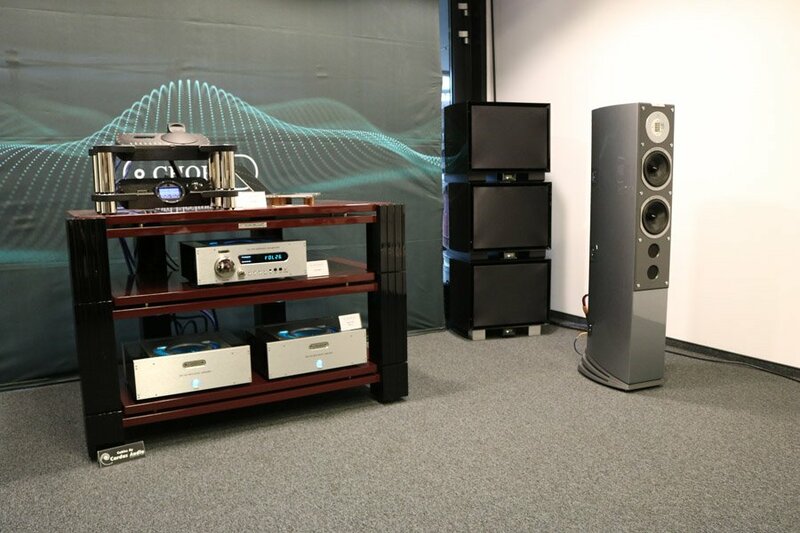 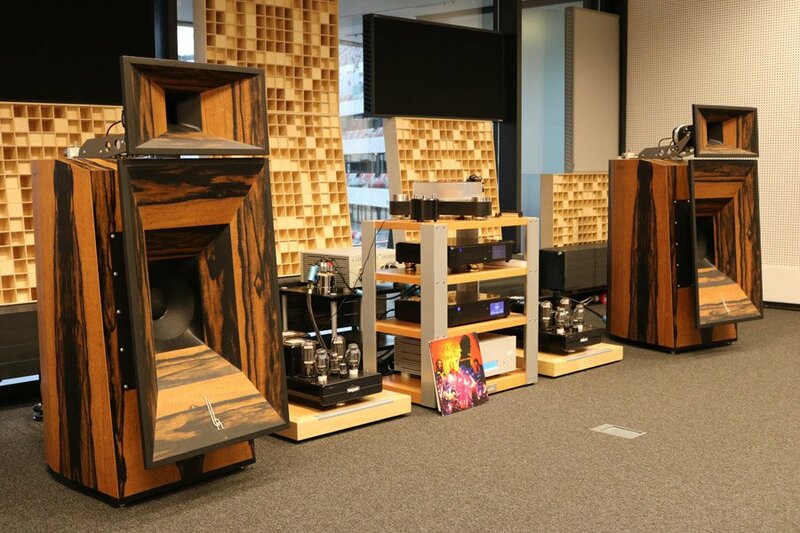 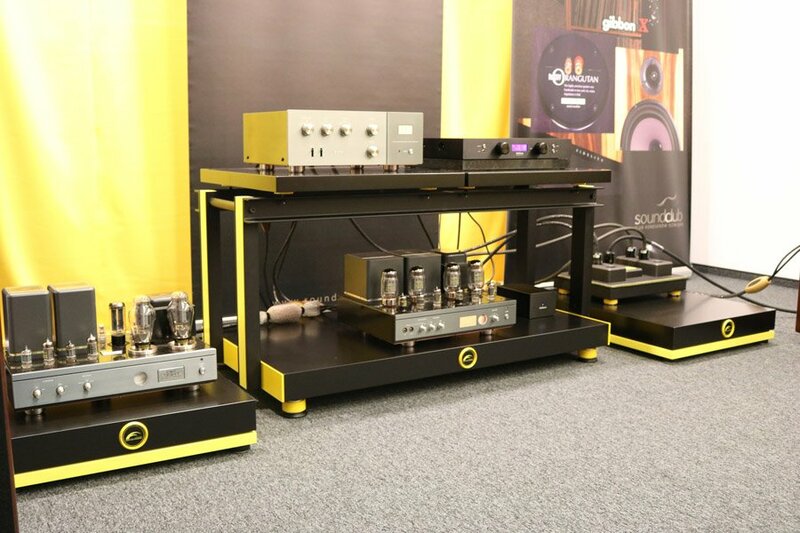 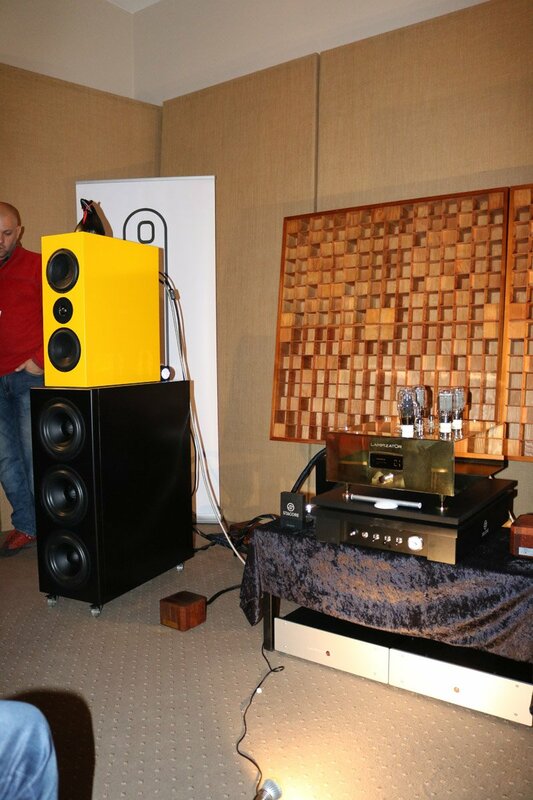 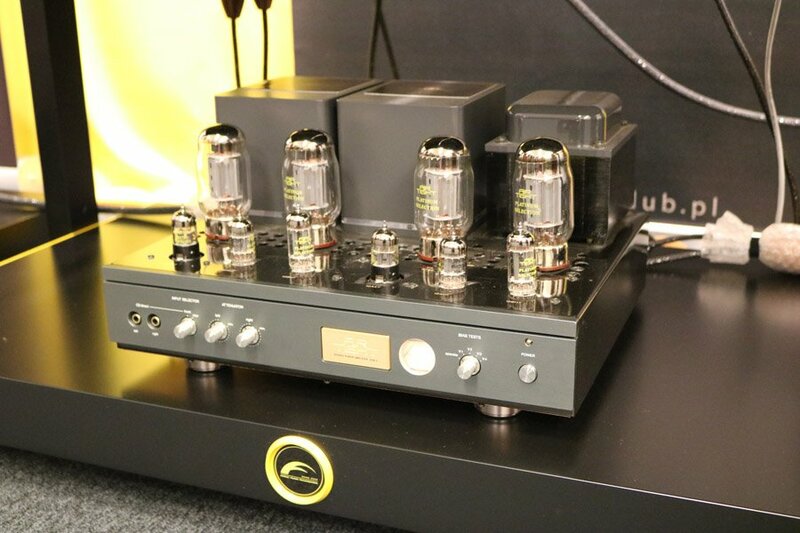 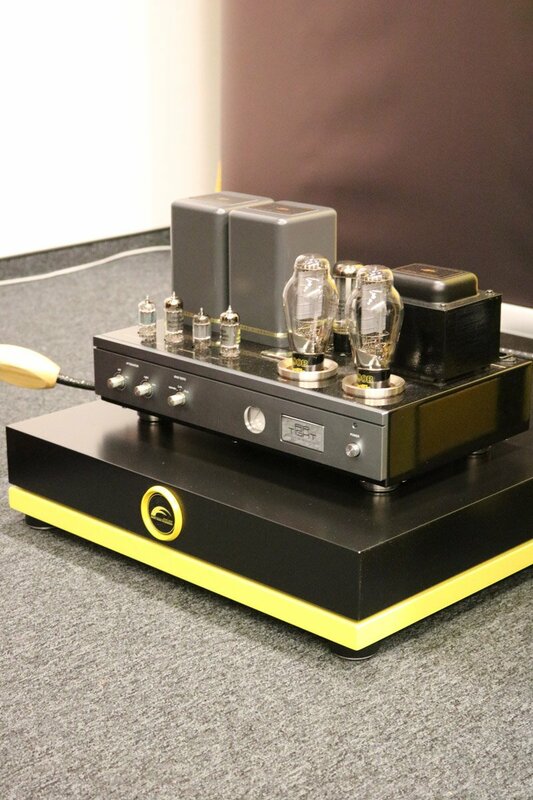 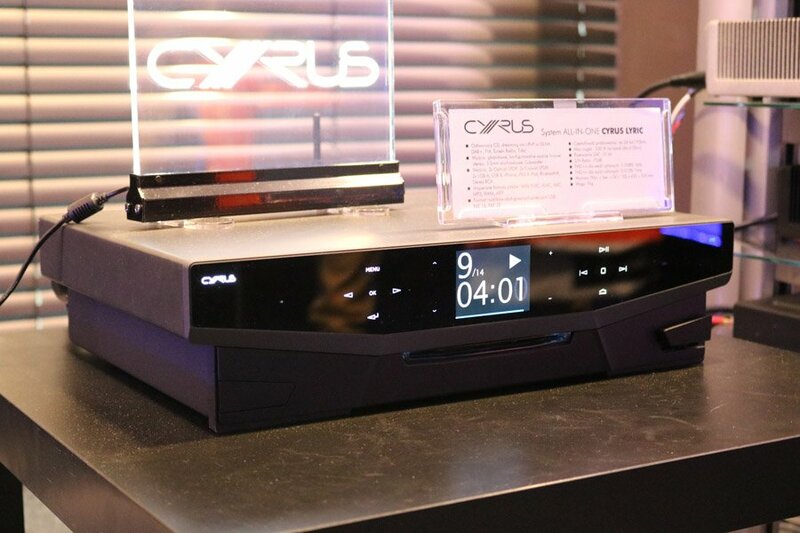 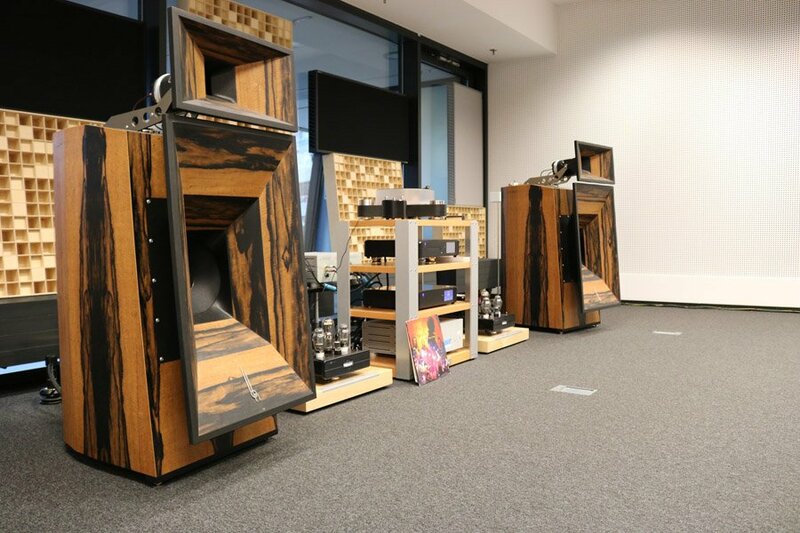 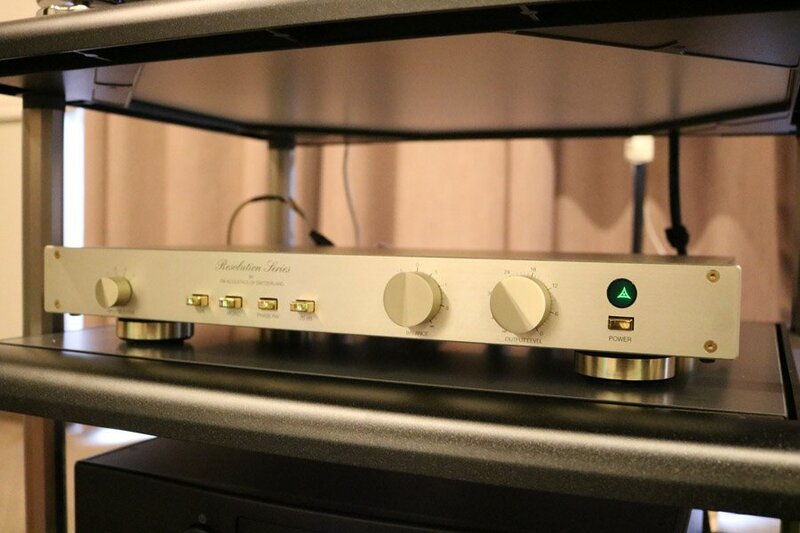 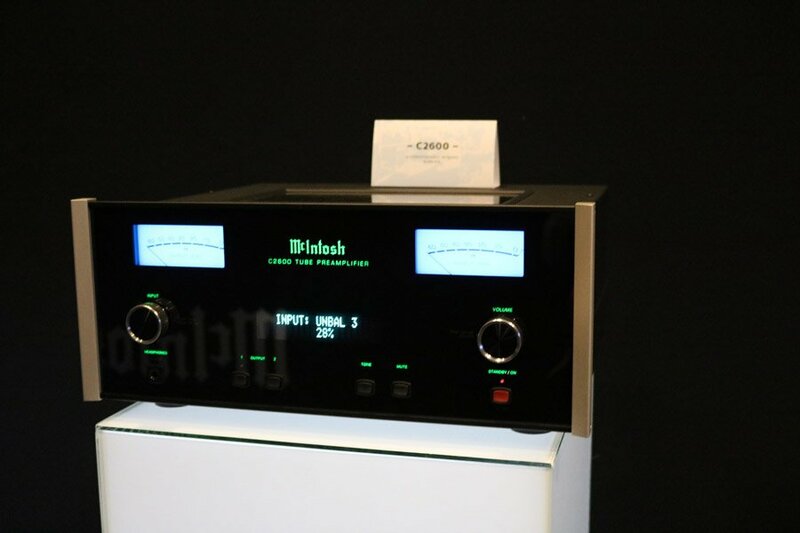 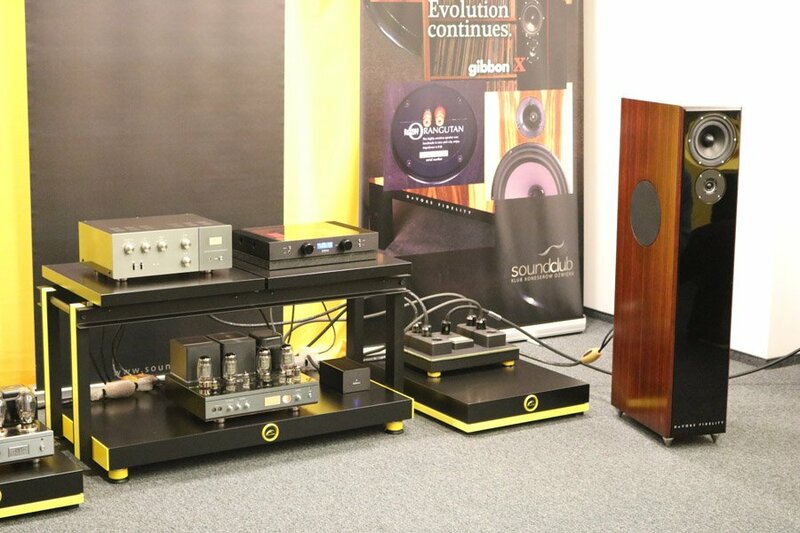 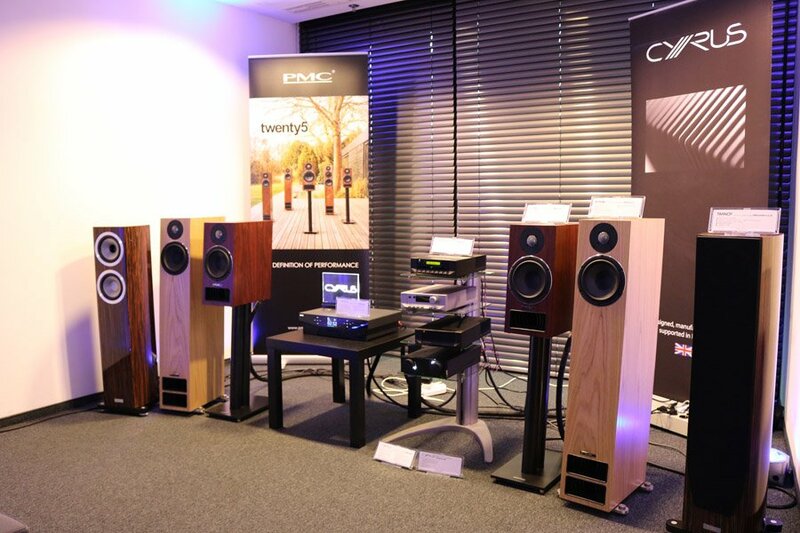 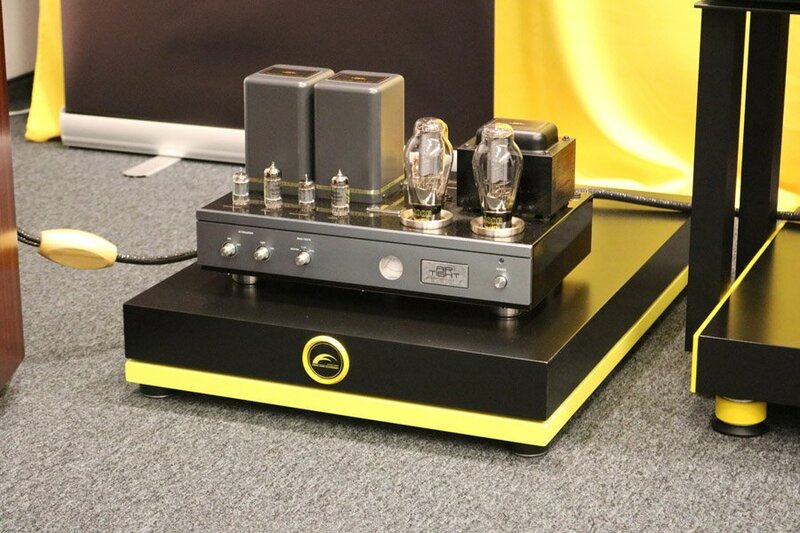 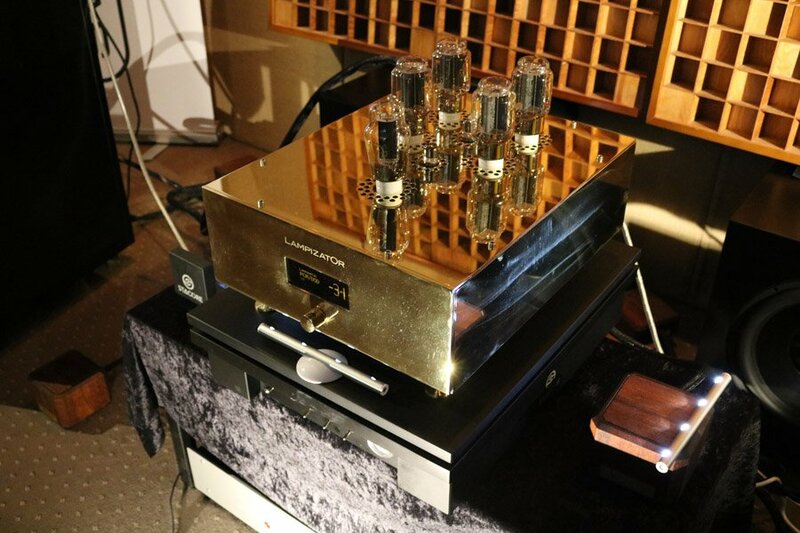 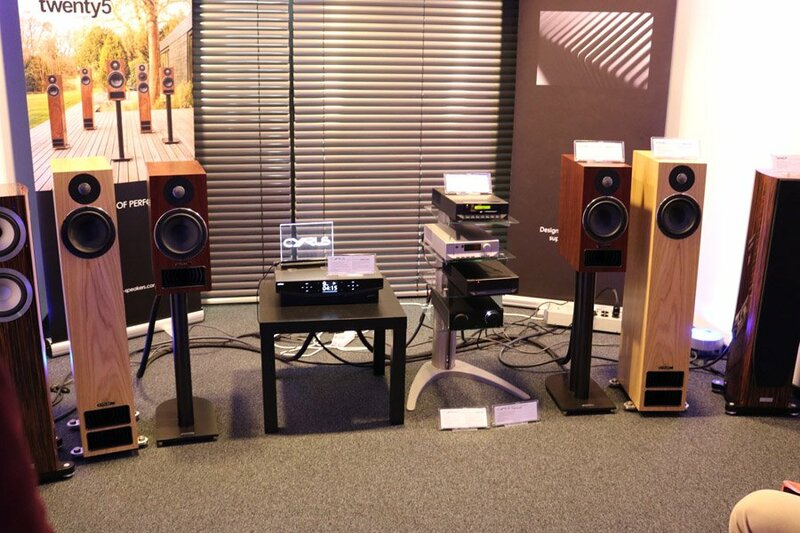 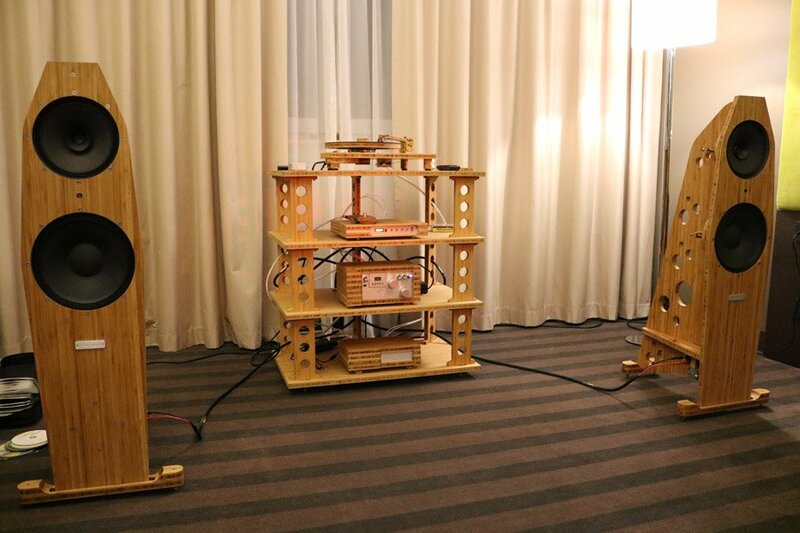 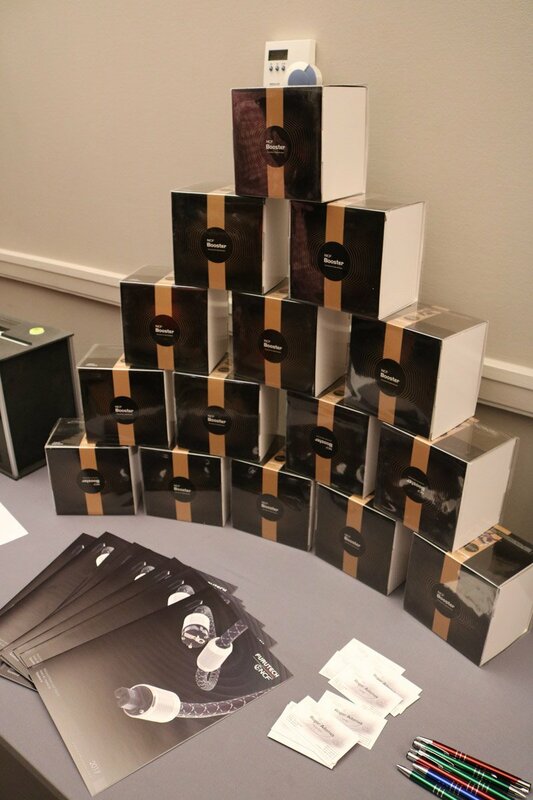 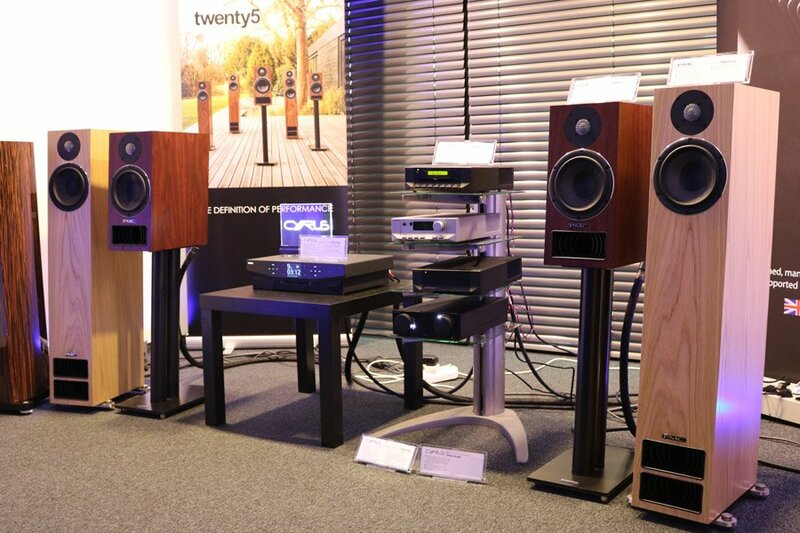 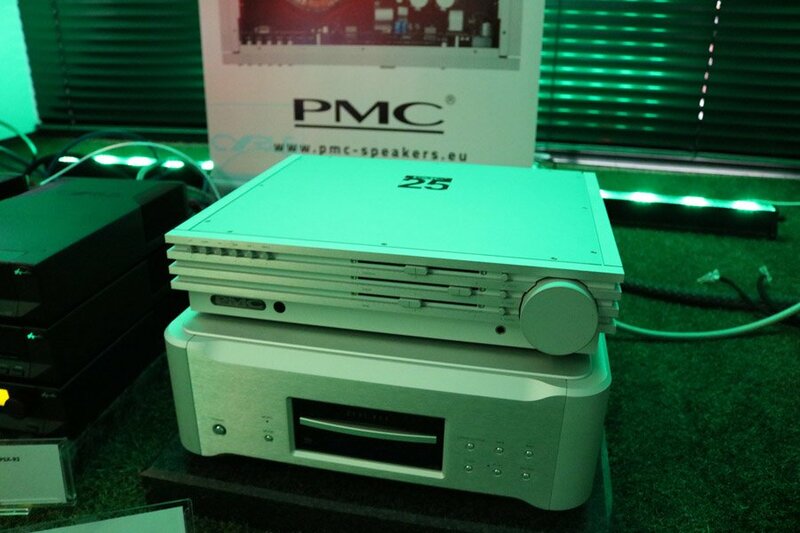 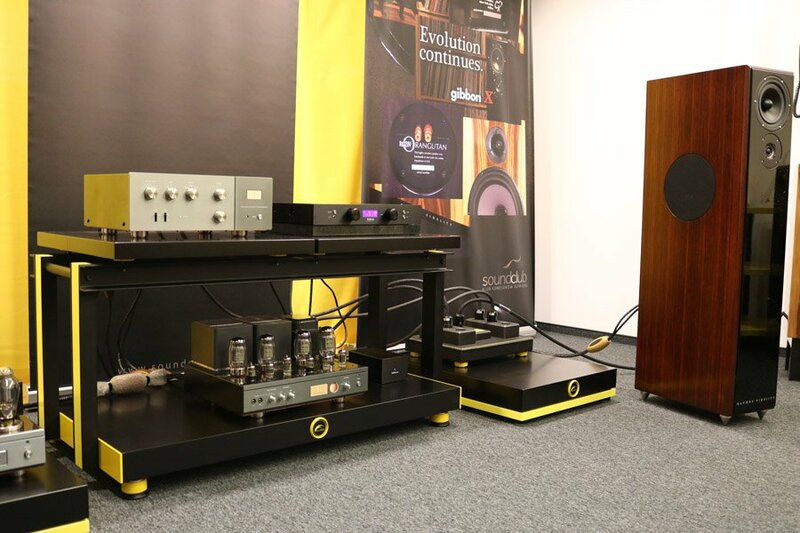 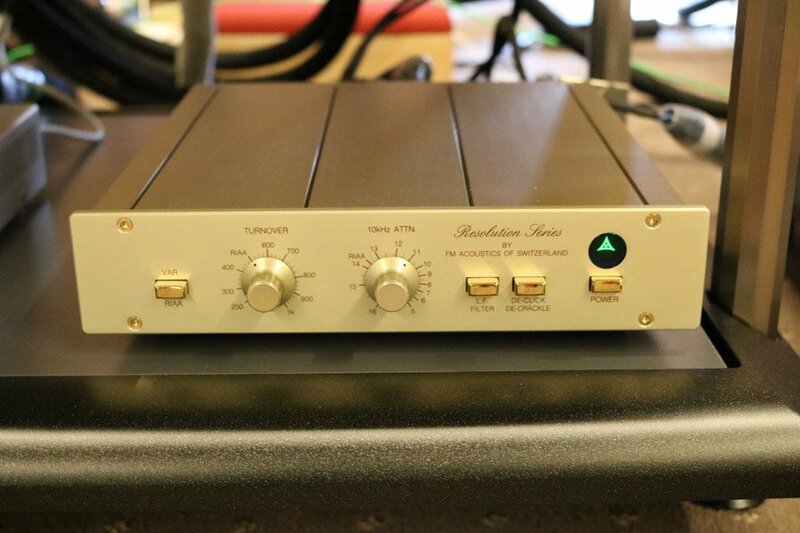 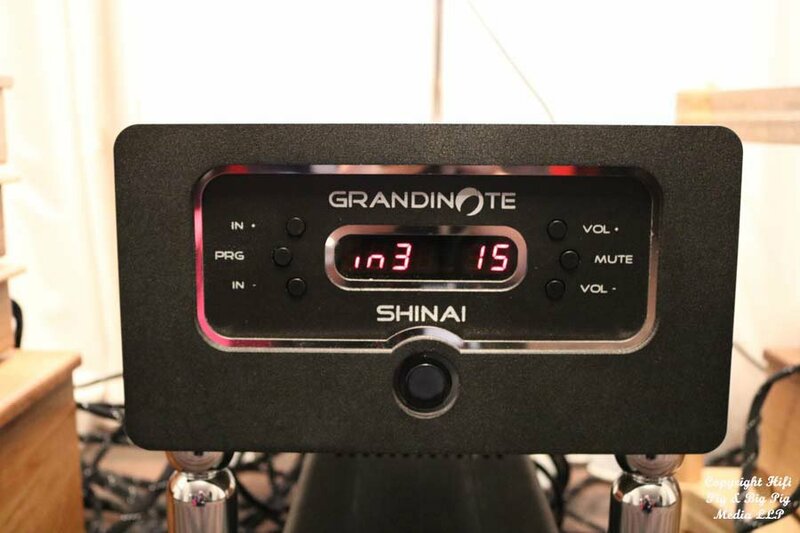 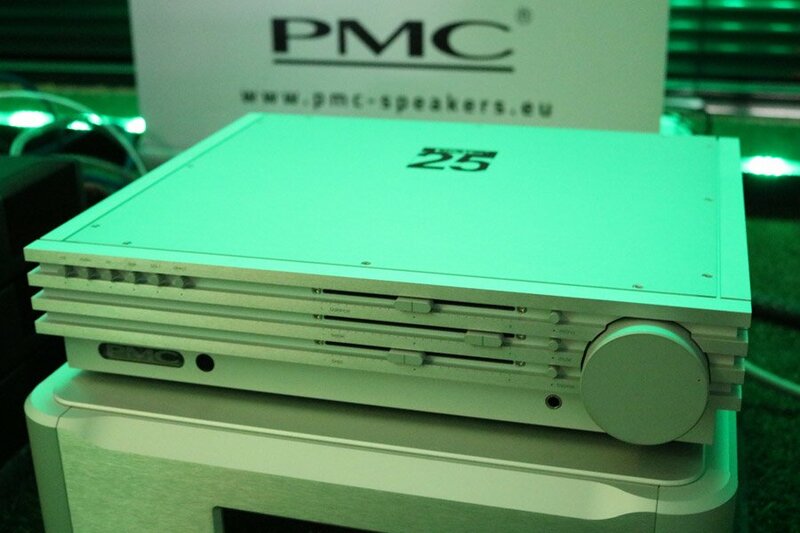 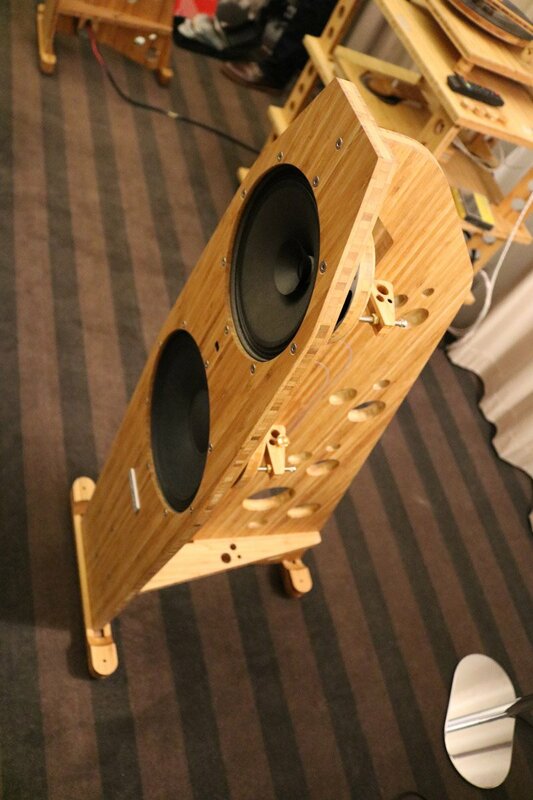 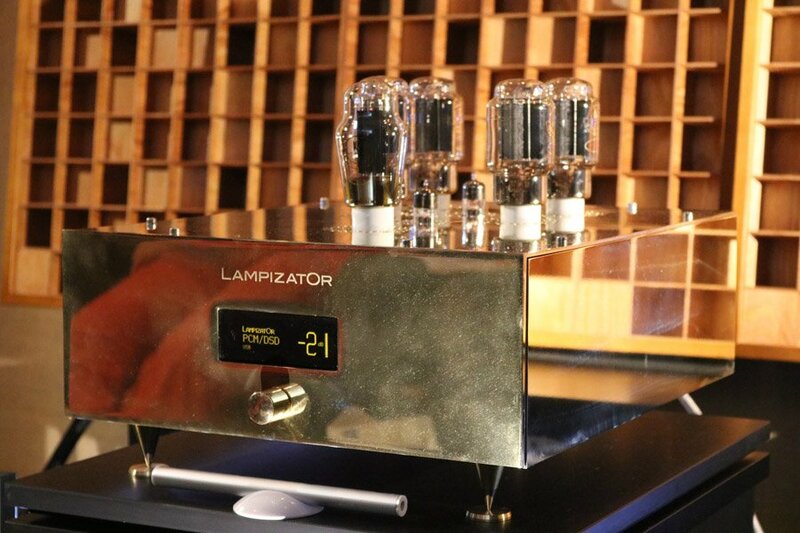 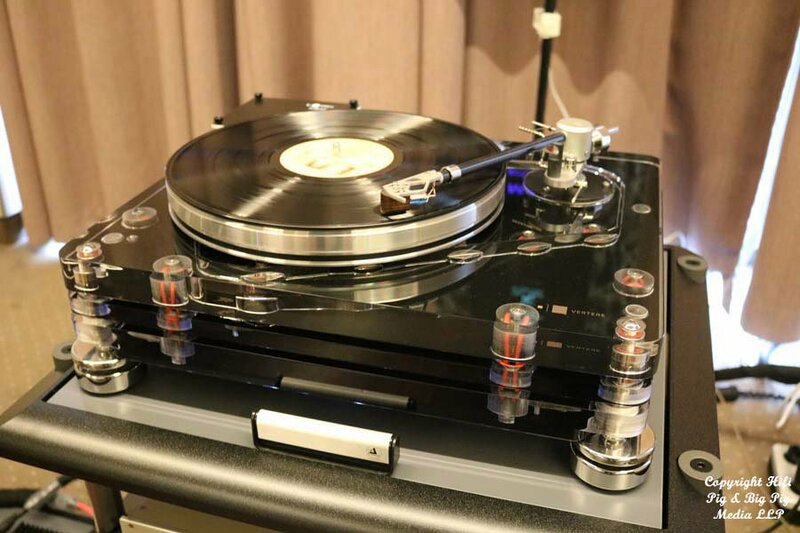 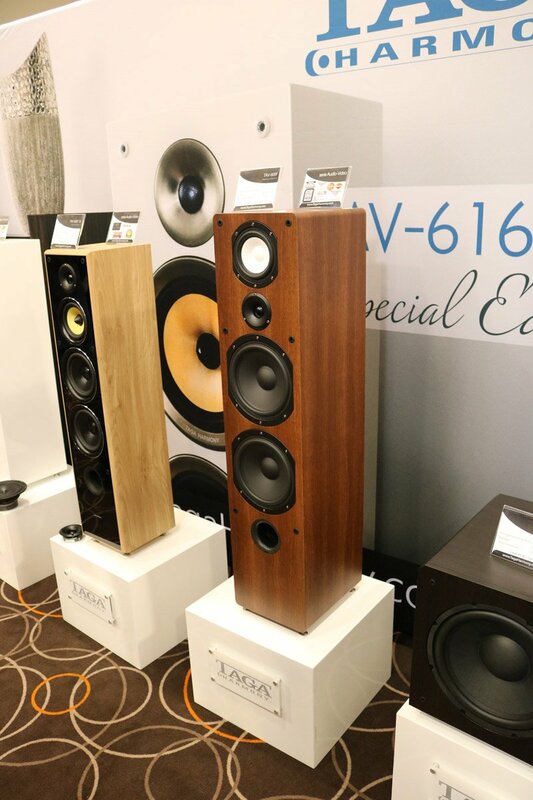 Stuart’s first report from last weekend’s Audio Video Show in Warsaw, Poland. 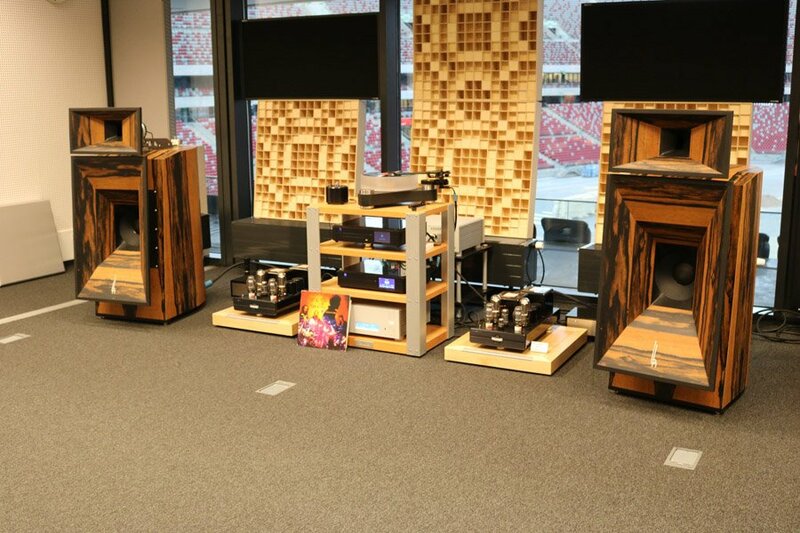 Over at the stadium this was one of the standout rooms for me. 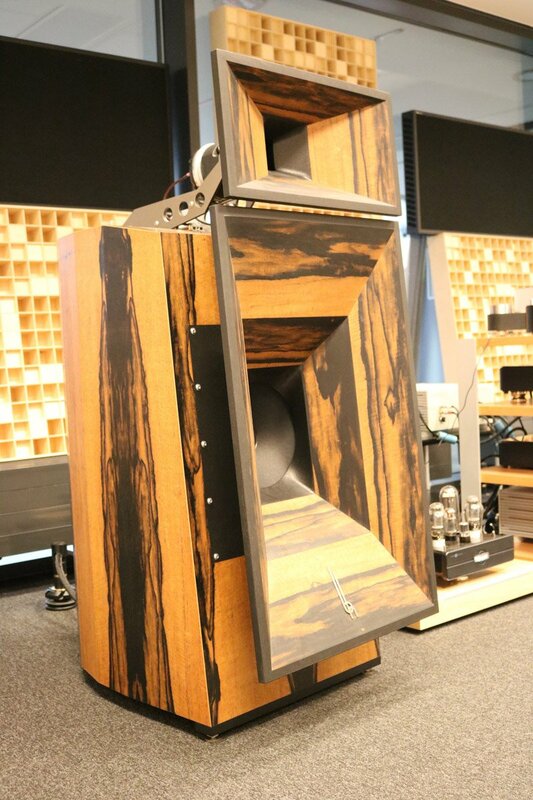 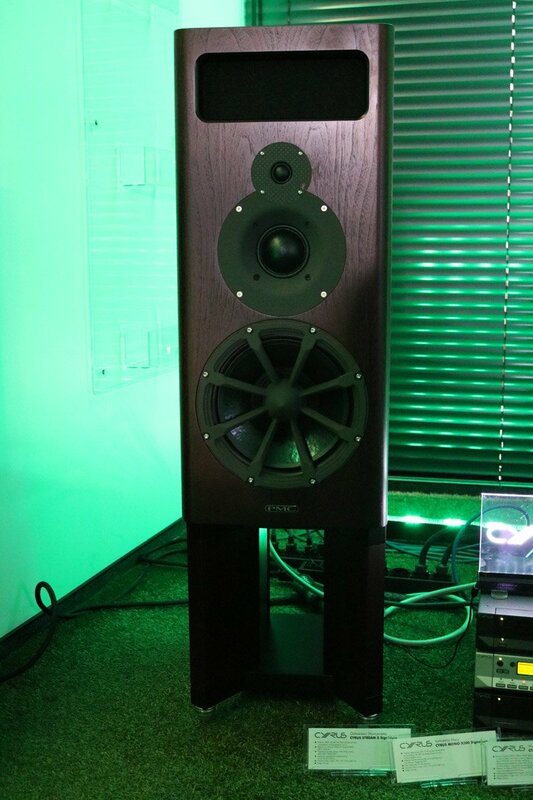 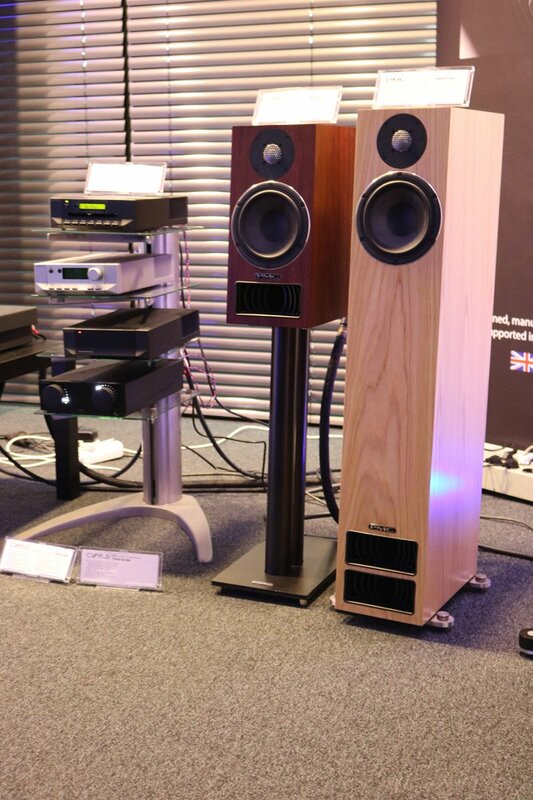 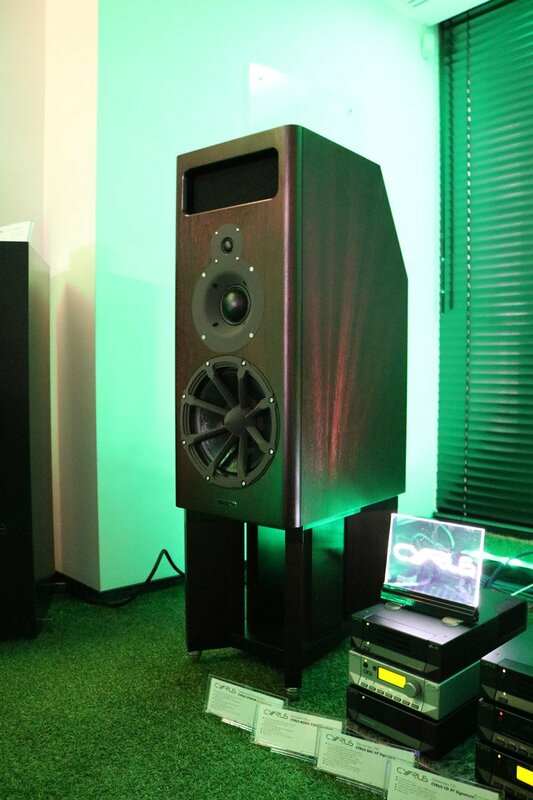 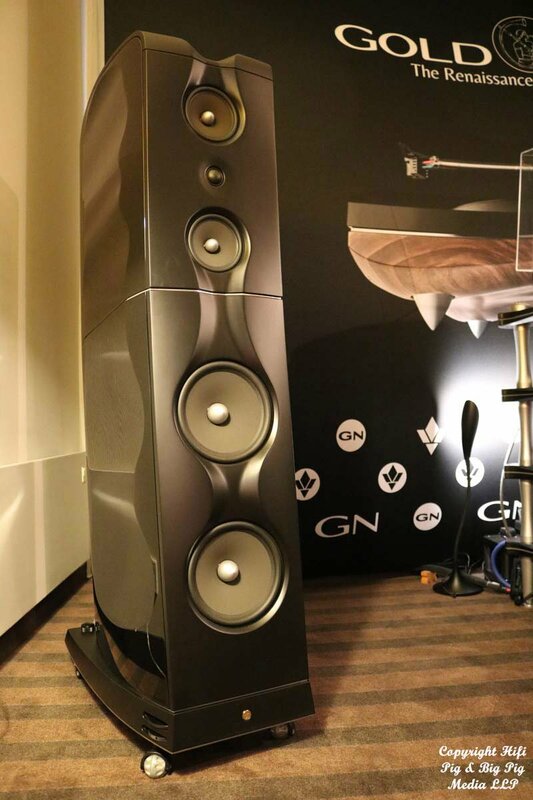 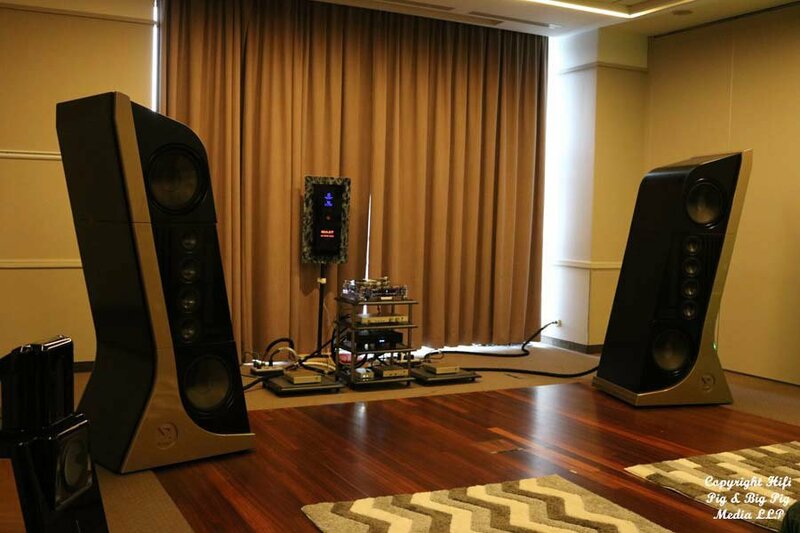 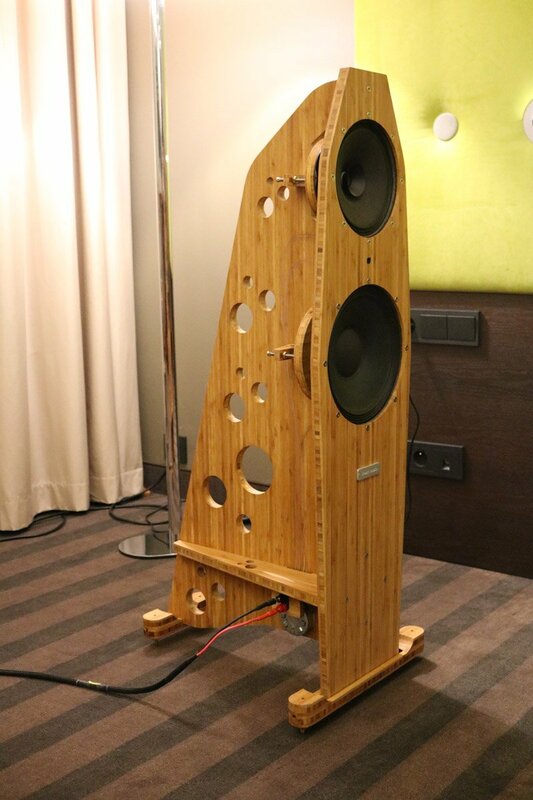 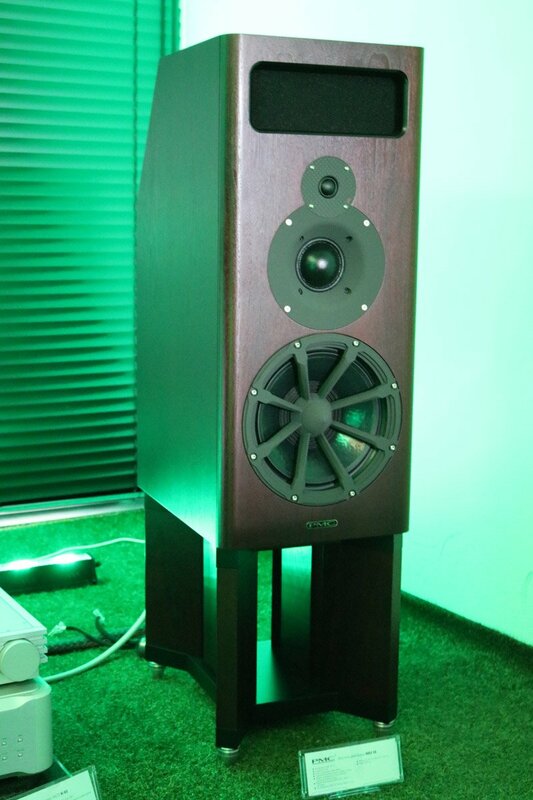 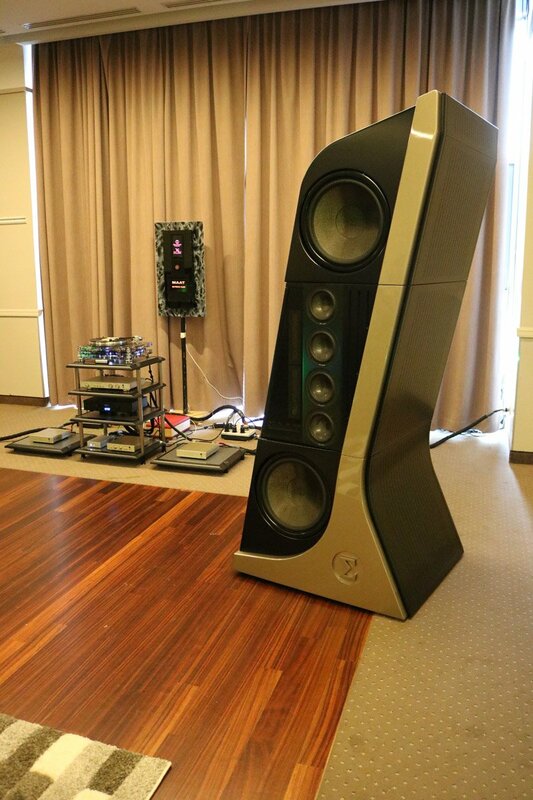 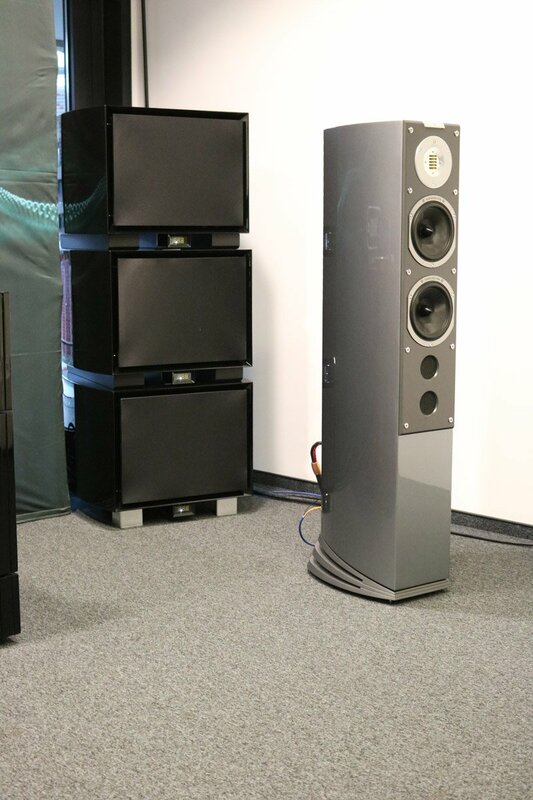 The Blumenhofer Acoustics Gioia Mark 2 speakers pretty much always impress whenever I hear them. 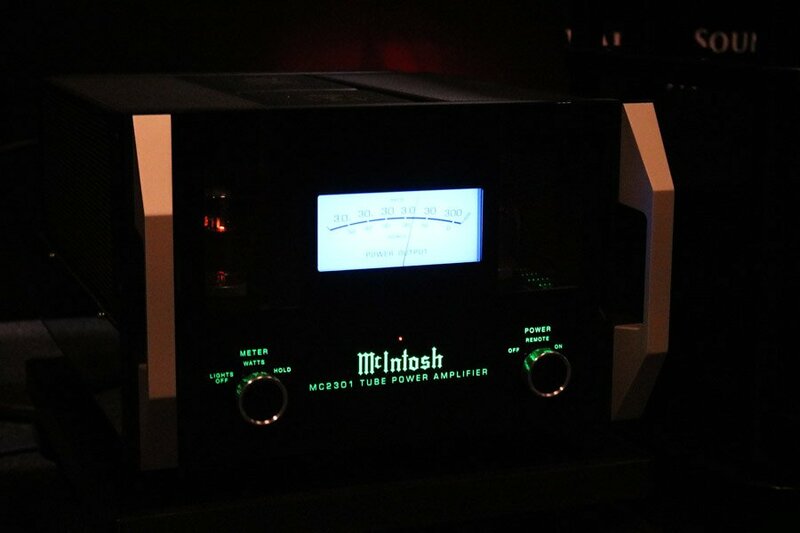 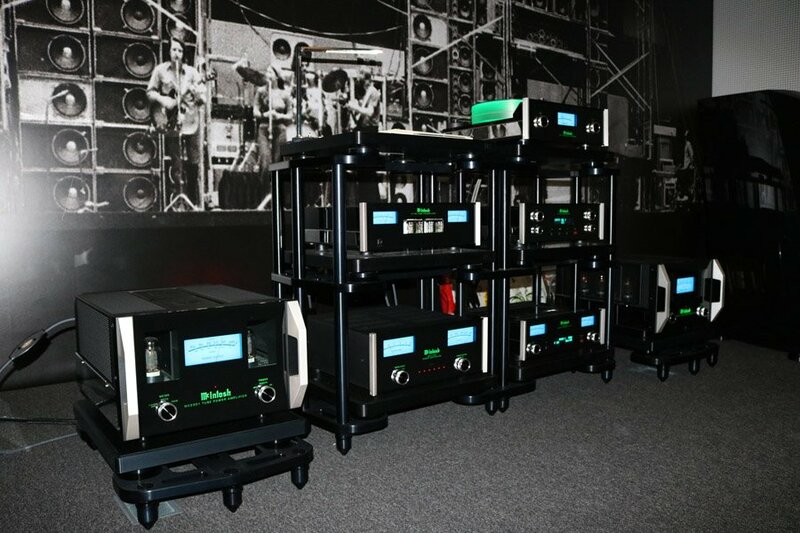 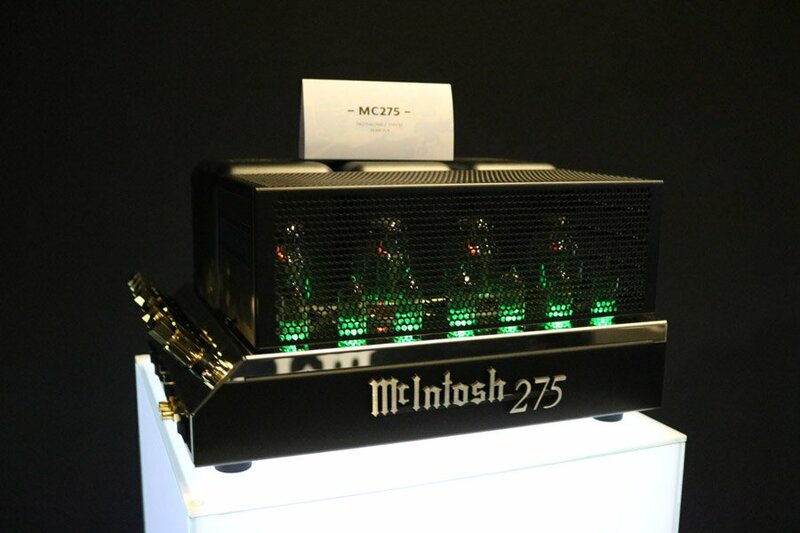 McIntosh and Rockport Technologies speakers. 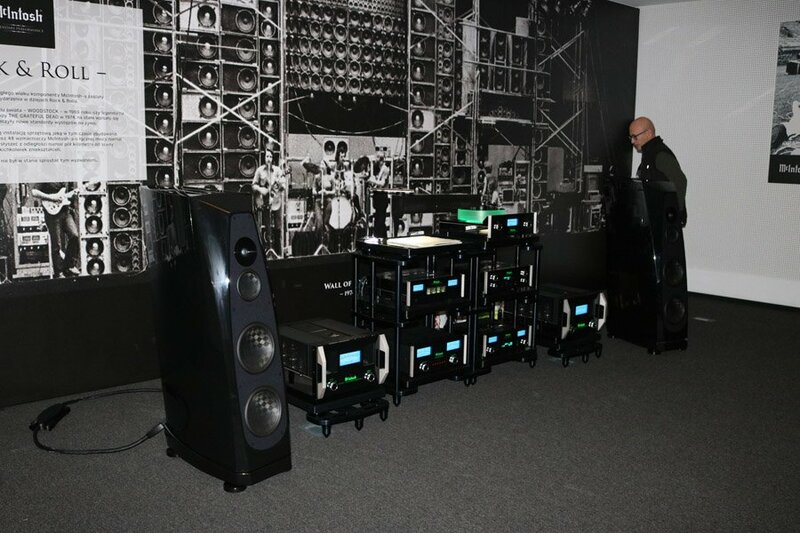 The photo at the back of the system is The Grateful Dead’s Wall Of Sound system designed by acid legend Augustus Owsley Stanley III and which used 48 MC 2300 amps. 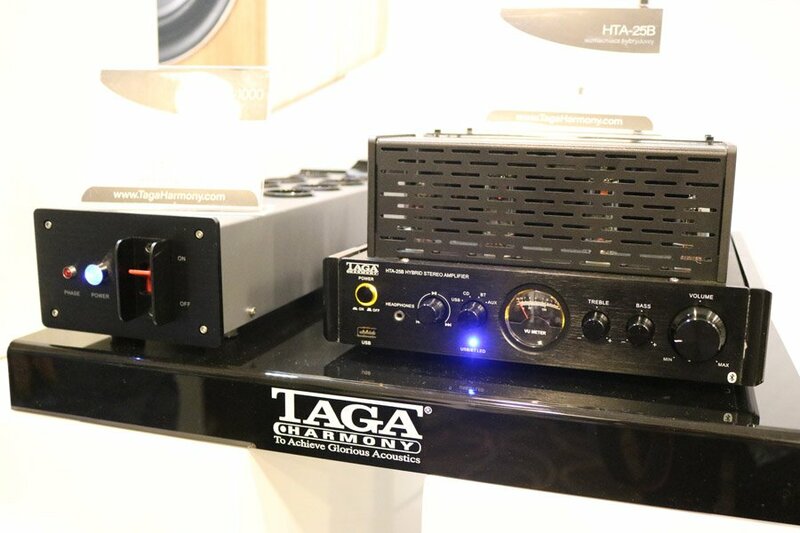 This combo sounded excellent. 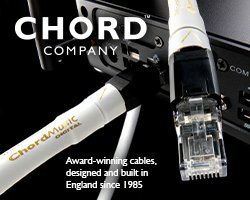 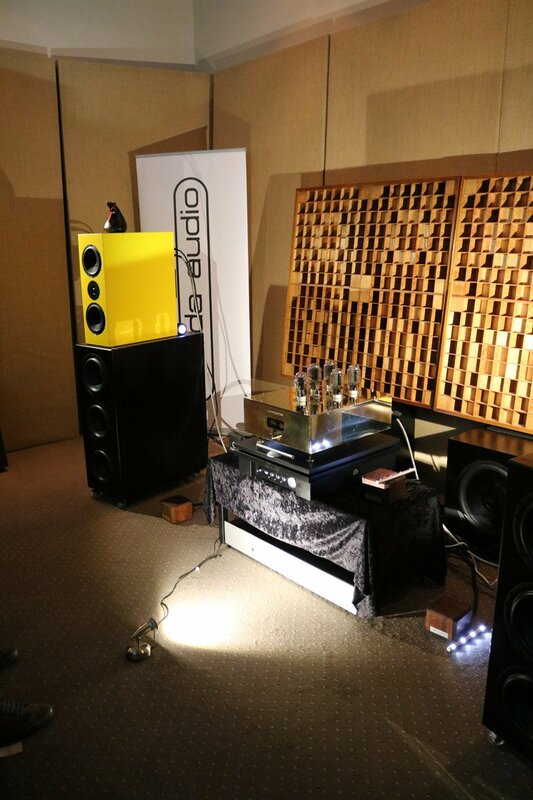 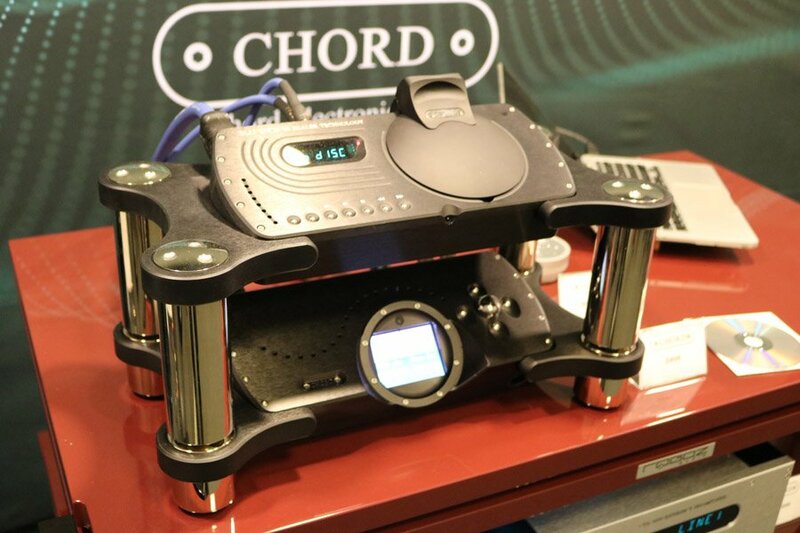 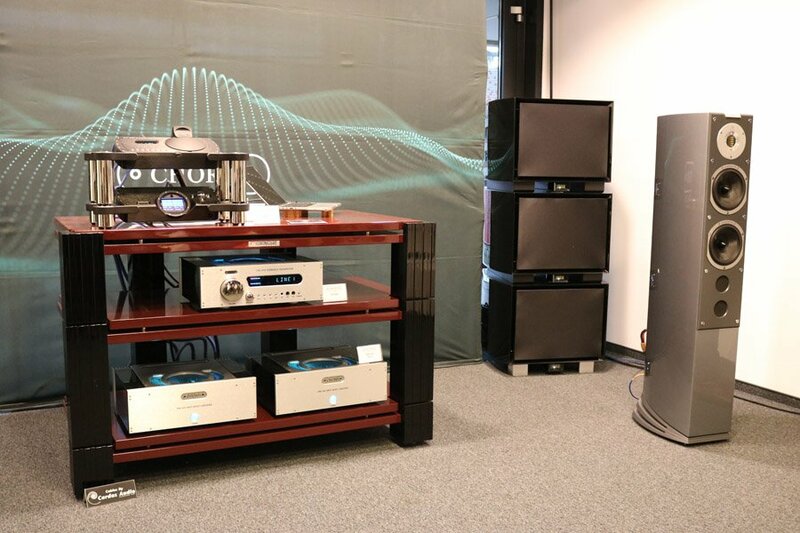 Chord Electronics partnered with Audiovector loudspeakers and REL subs. 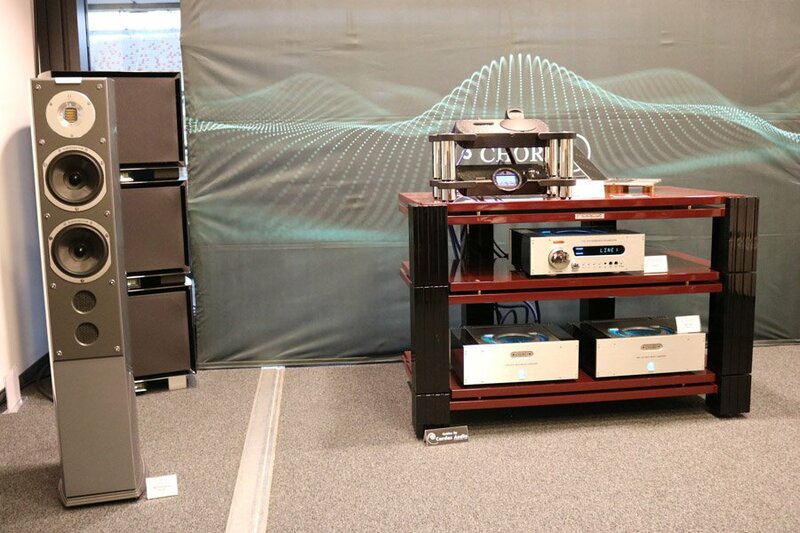 This went very low indeed. 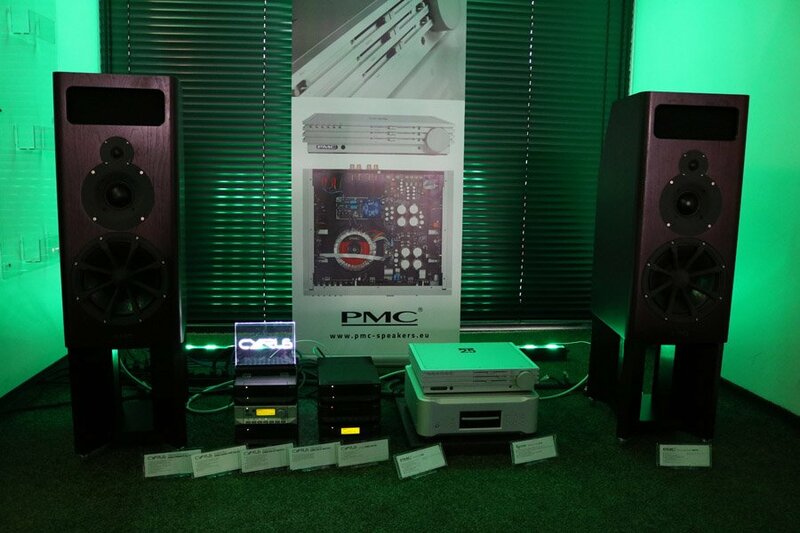 PMC and Cyrus had a couple of rooms over at the stadium. 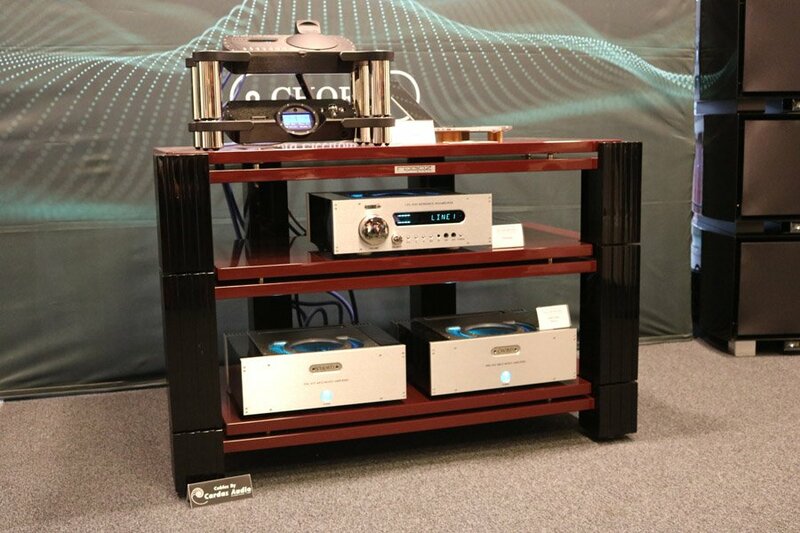 Franc Audio Accessories, Airtight electronics, Rogoz rack and DeVore Gibbon X loudspeakers. 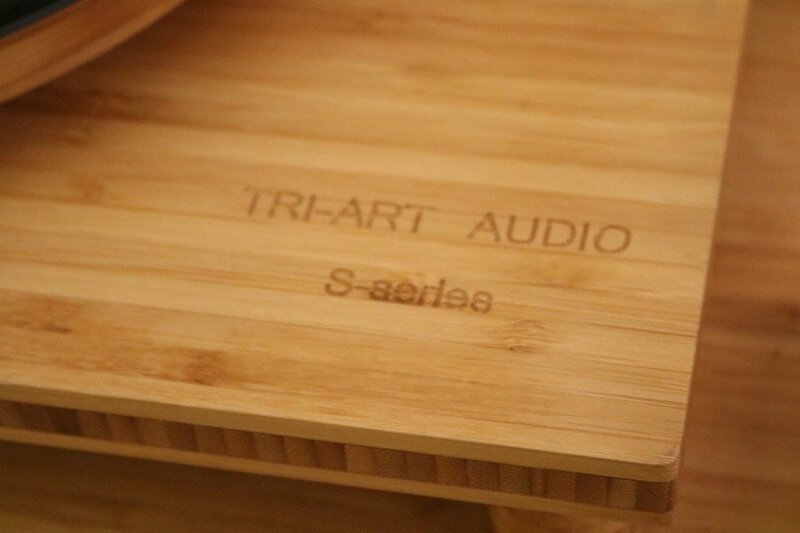 Tri-Art audio looked very interesting but was let down on sound, sadly. 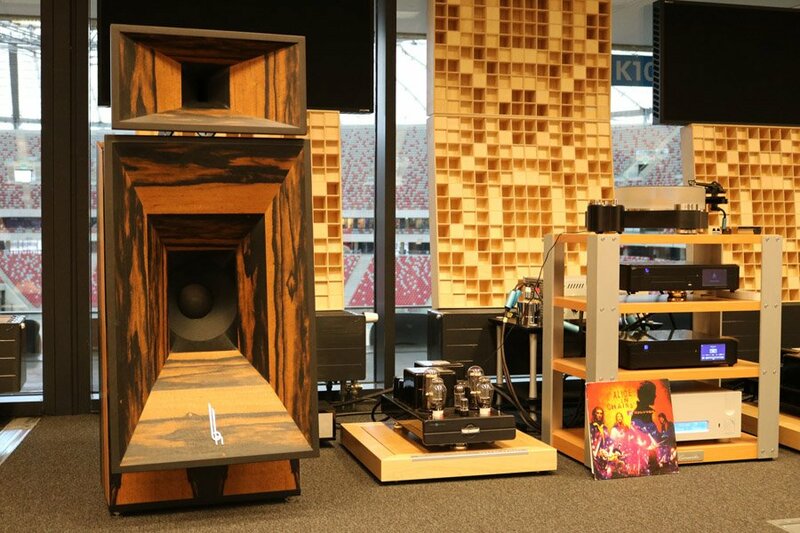 I’m sure in better surroundings the team could have got a better sound, but on the Sunday when we went in the room there was distortion that was hard to ignore. 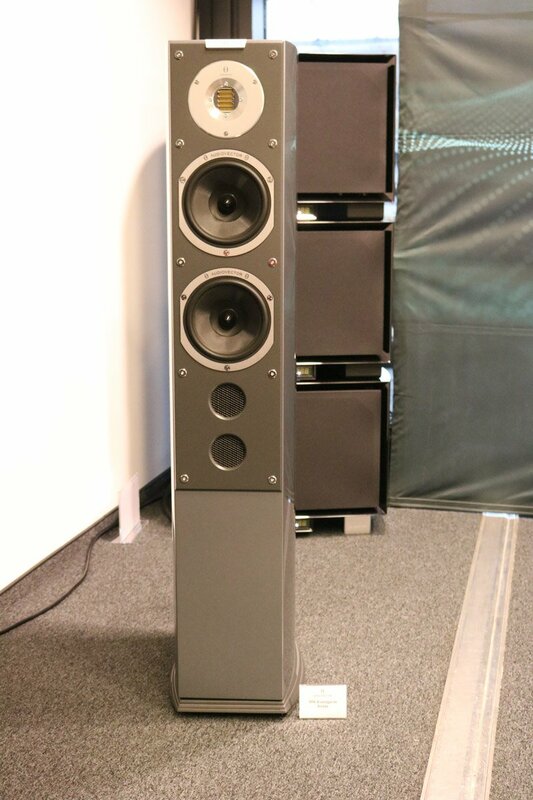 Looking forward to hearing these again because they do deserve to do well if only for having the cajones to do something different. 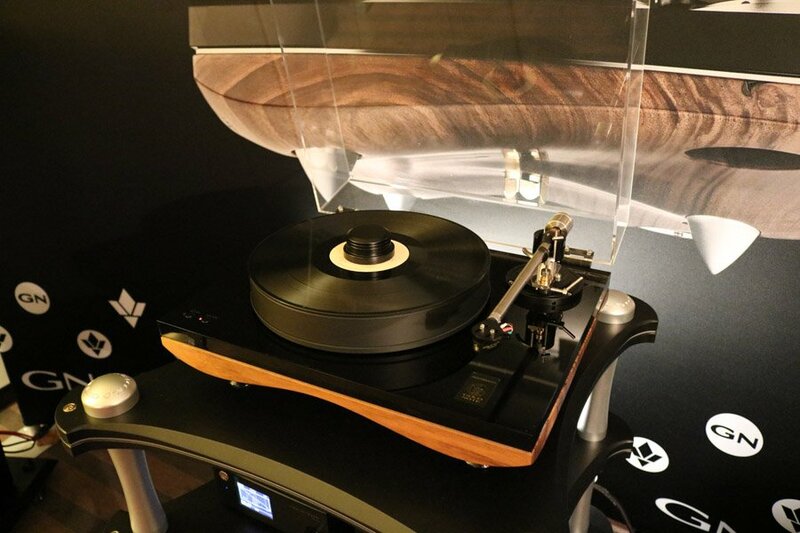 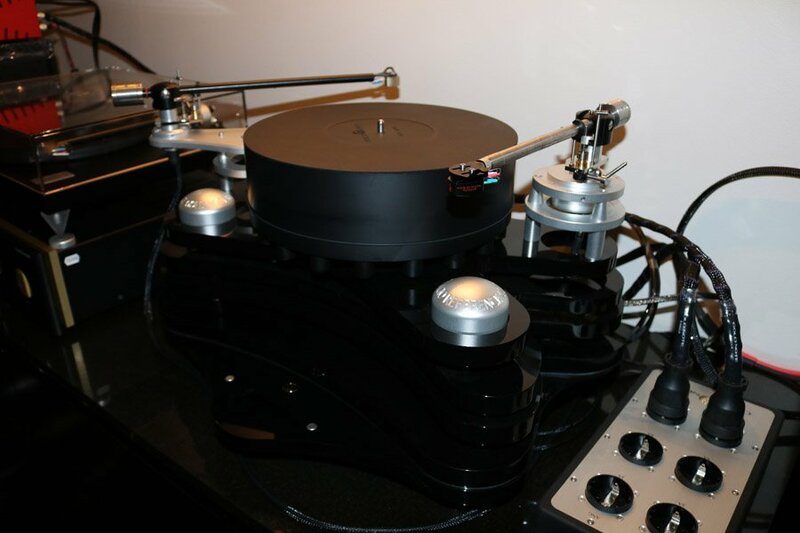 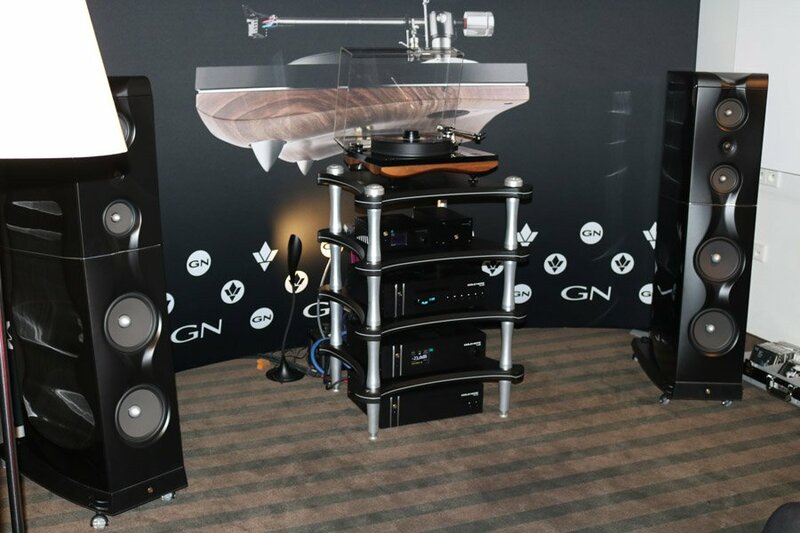 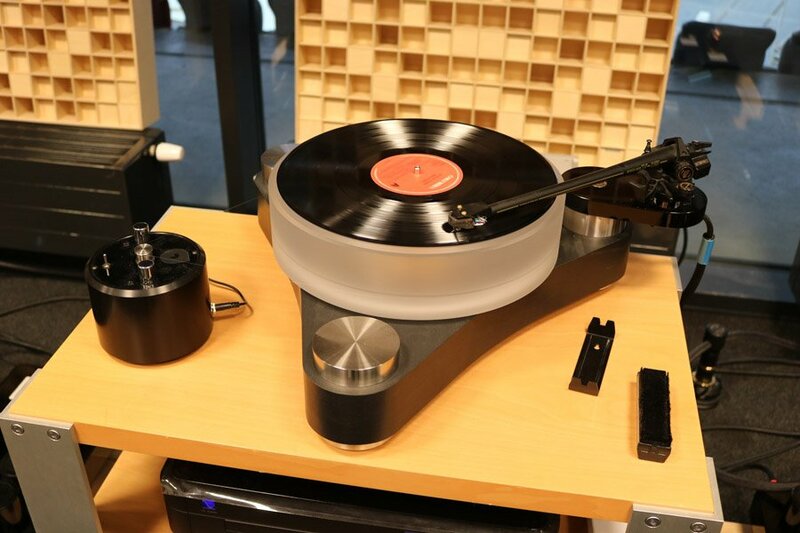 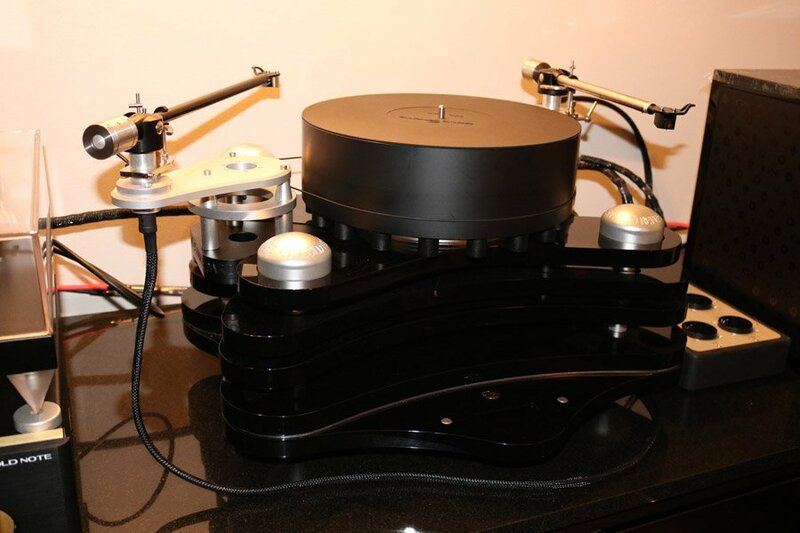 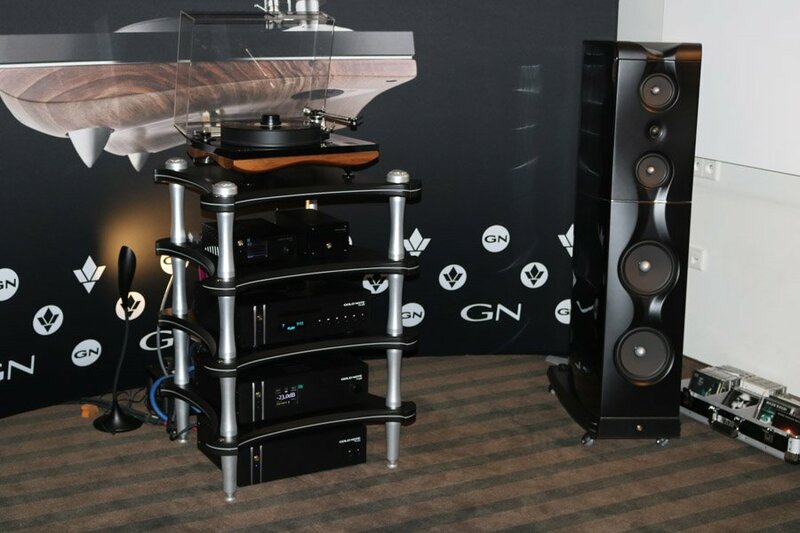 FM Acoustics electronics, Vertere turntable and the amazing Sigma loudspeakers. 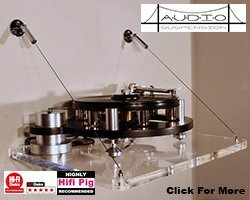 One of the sounds of the show for me. 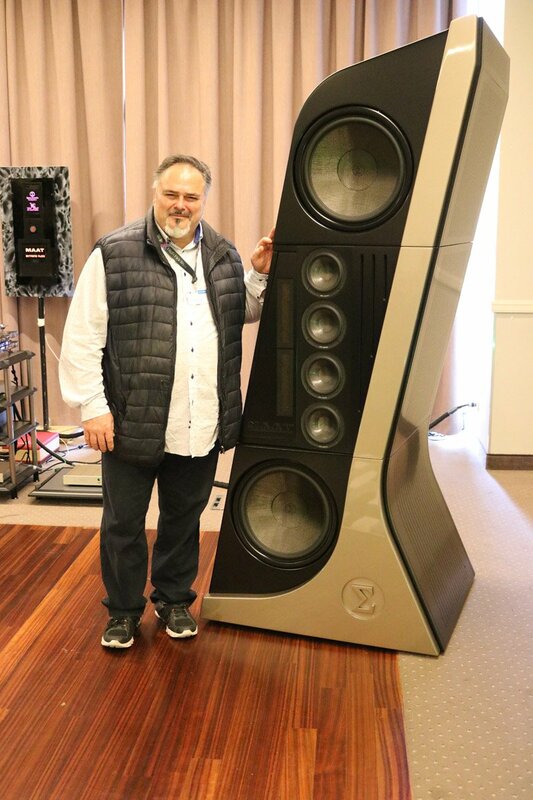 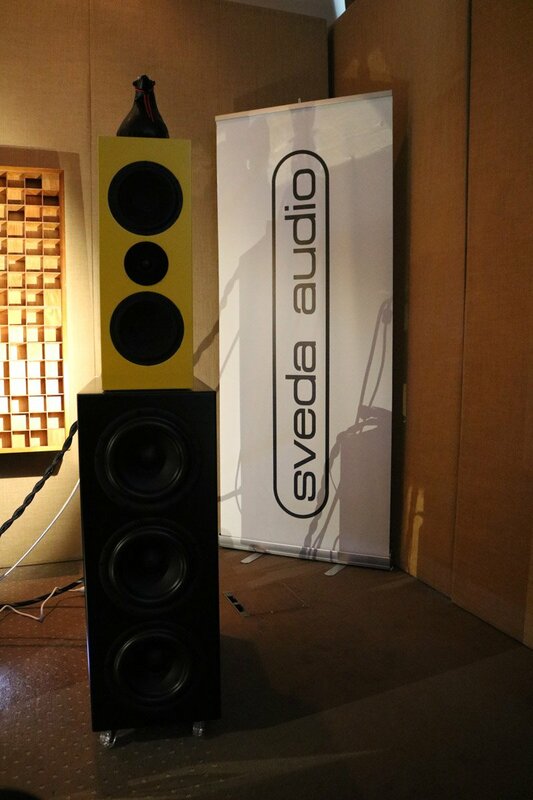 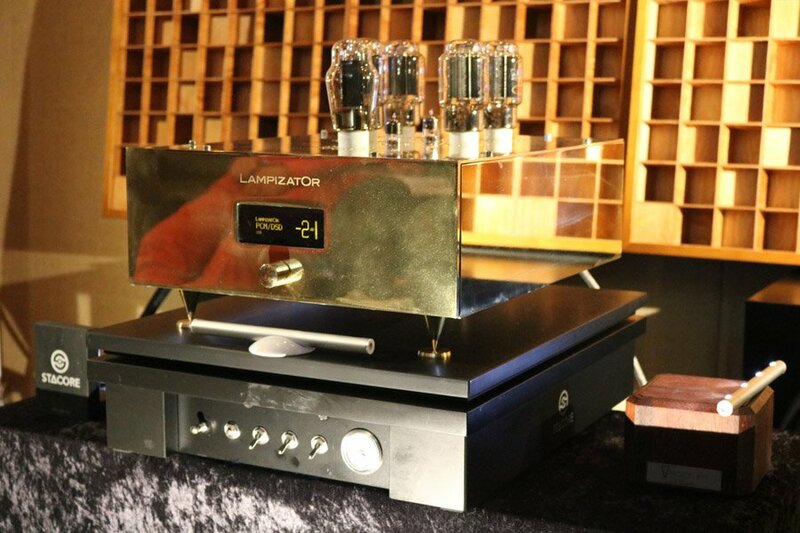 Sveda Audio speakers with the incredible Pacific DAC from Lampizator. 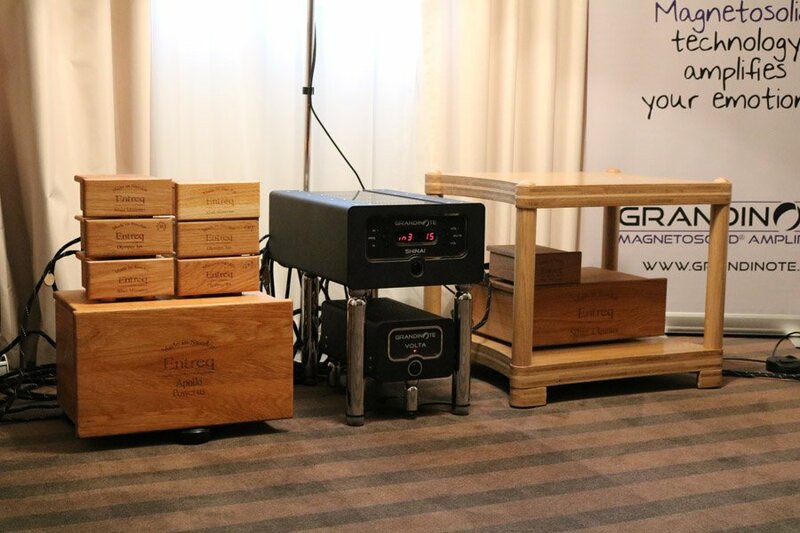 Grandinote and Entreq sounded great. 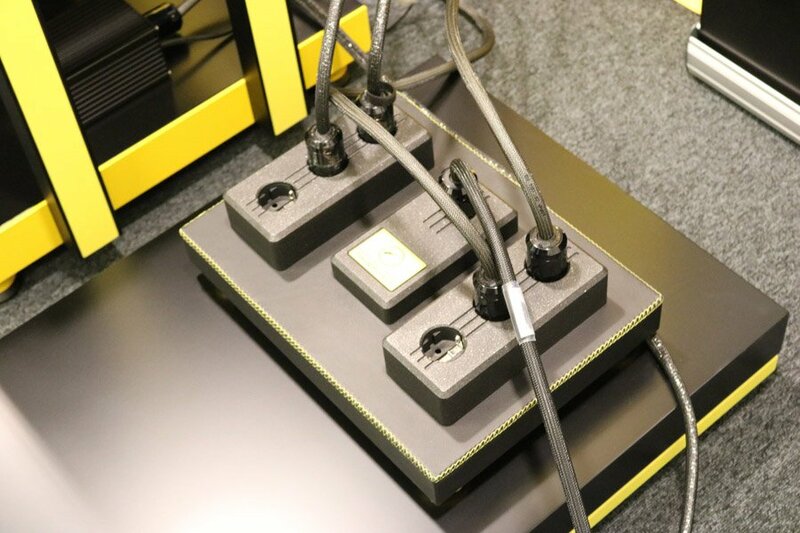 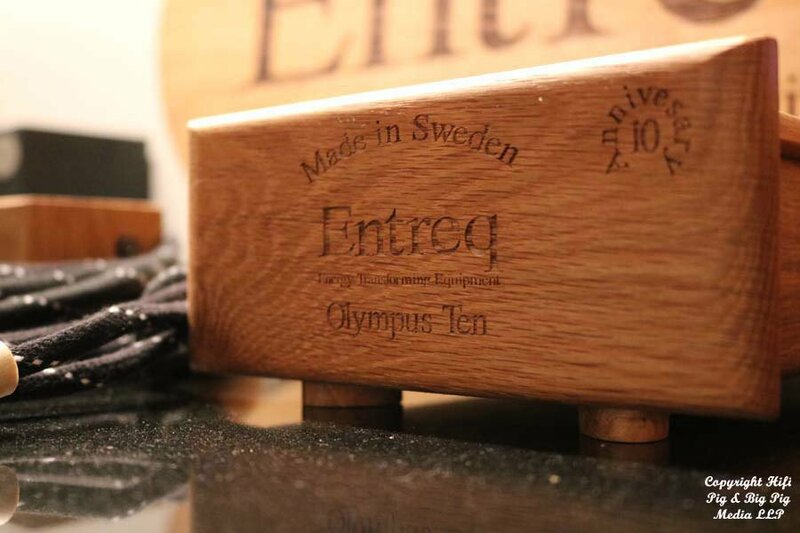 The Swedish Entreq tuning boxes are a bit of a mystery to me but I’ve never heard a system sound anything but very good with them in the system. 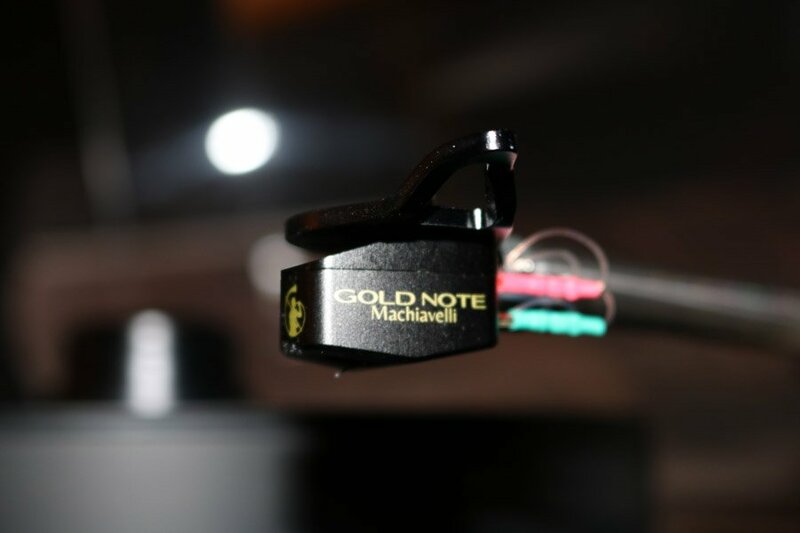 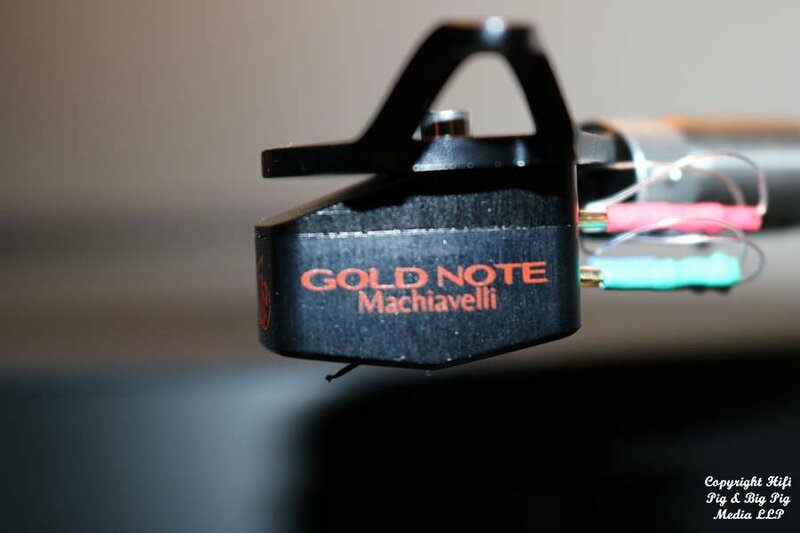 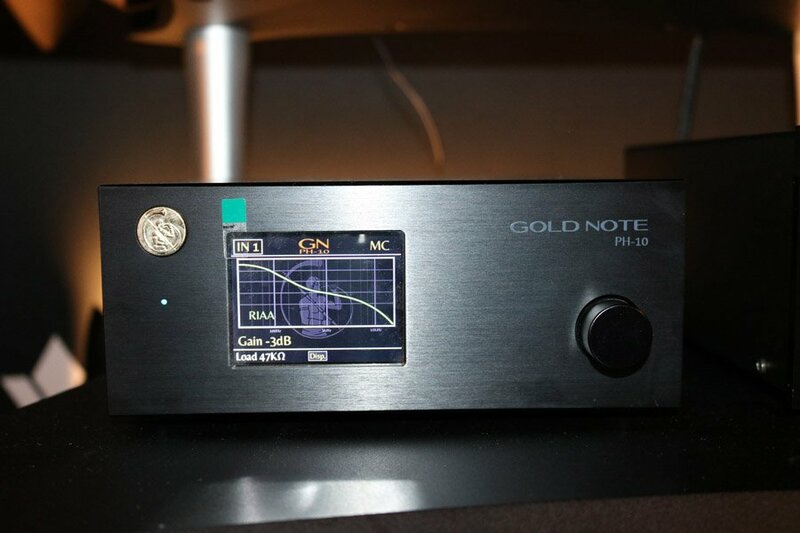 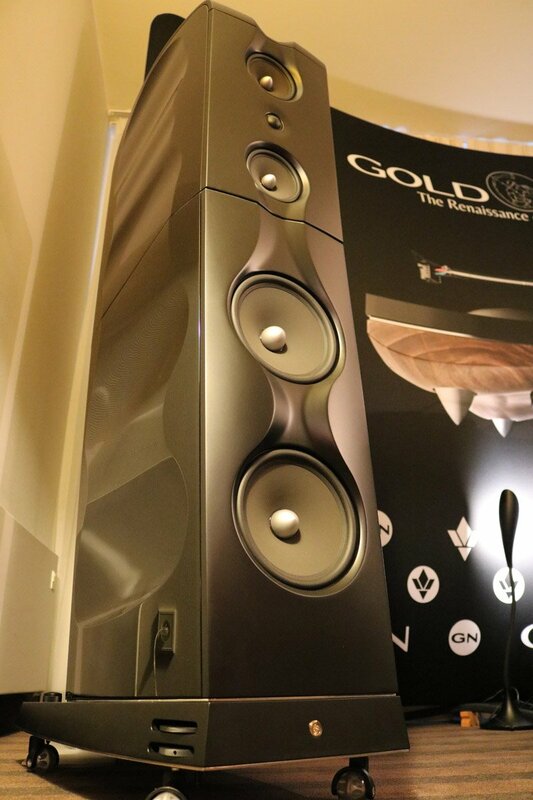 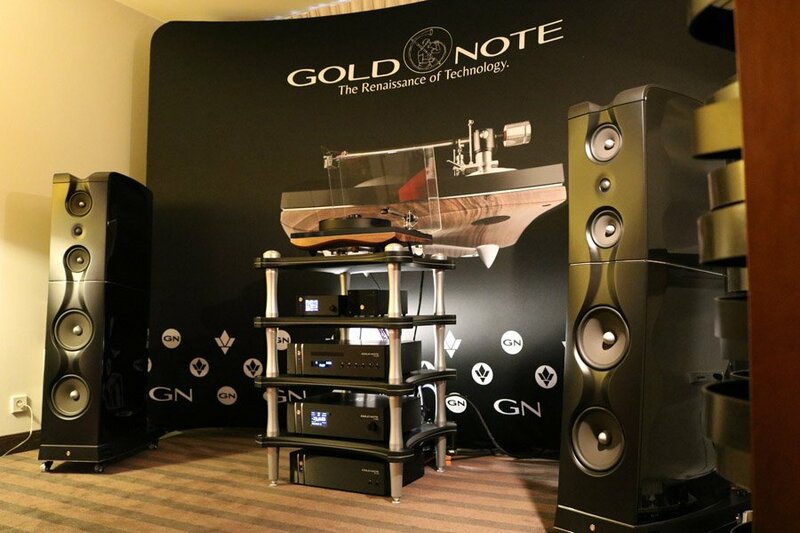 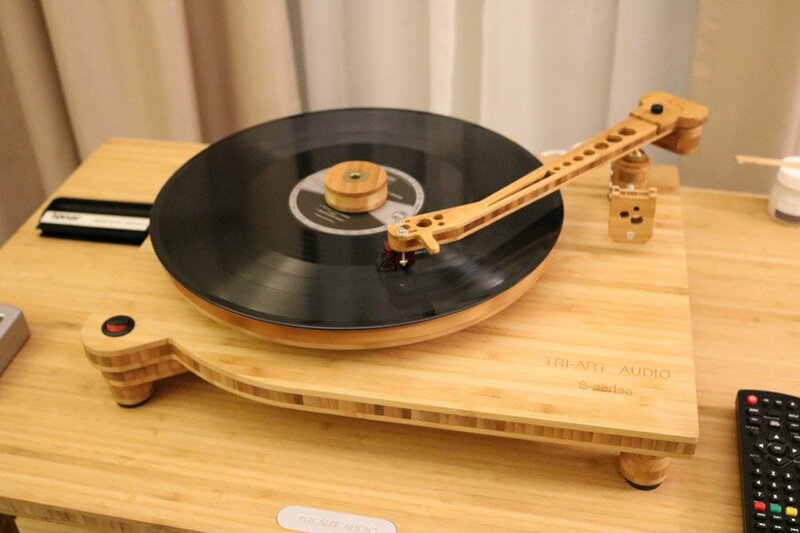 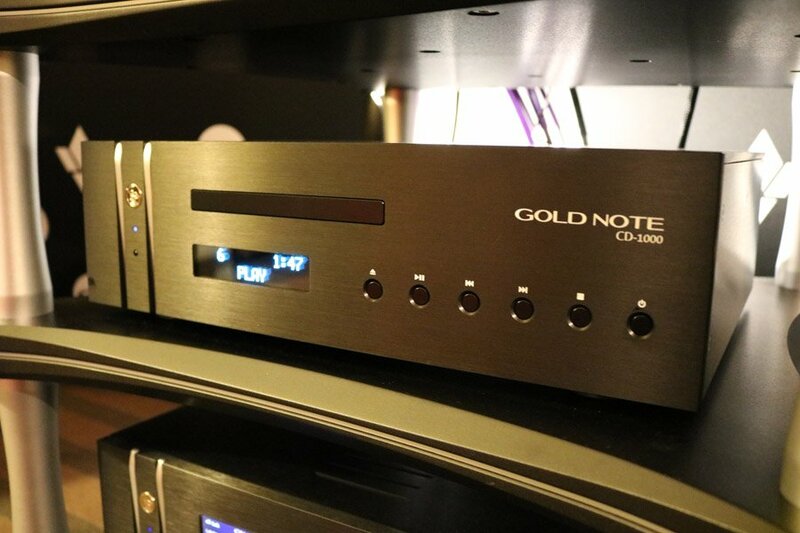 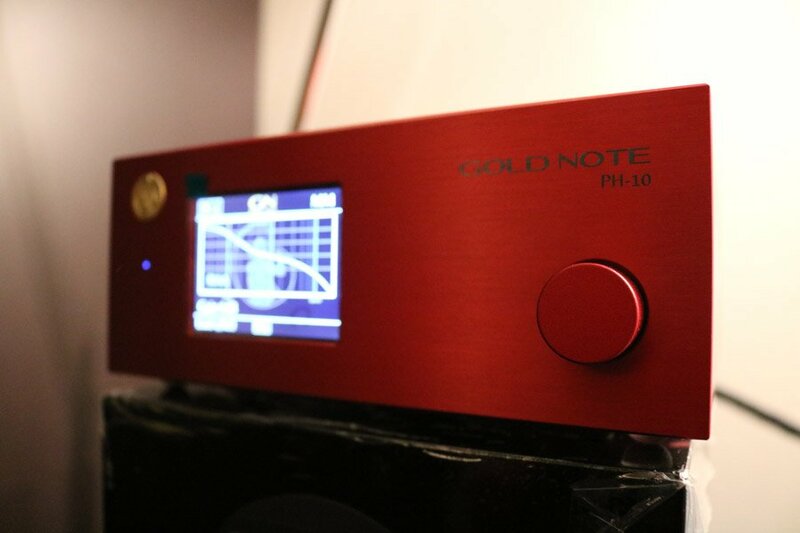 Italian brand Goldnote sounding very nice. 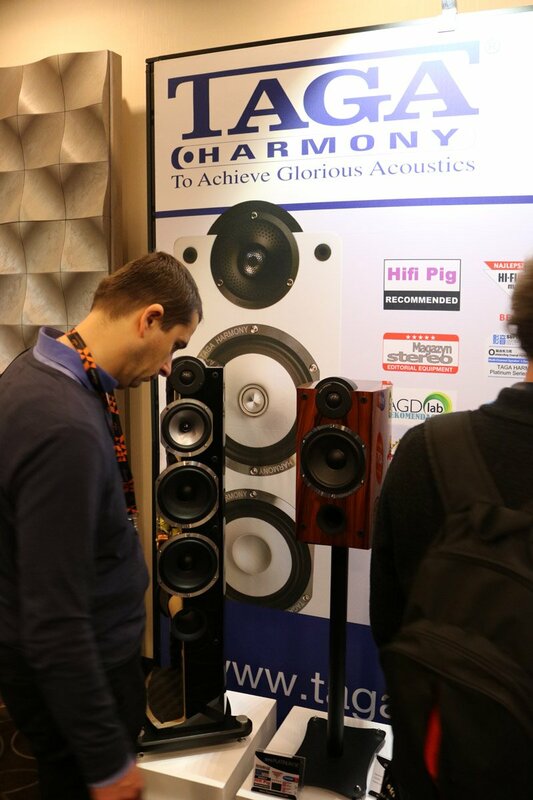 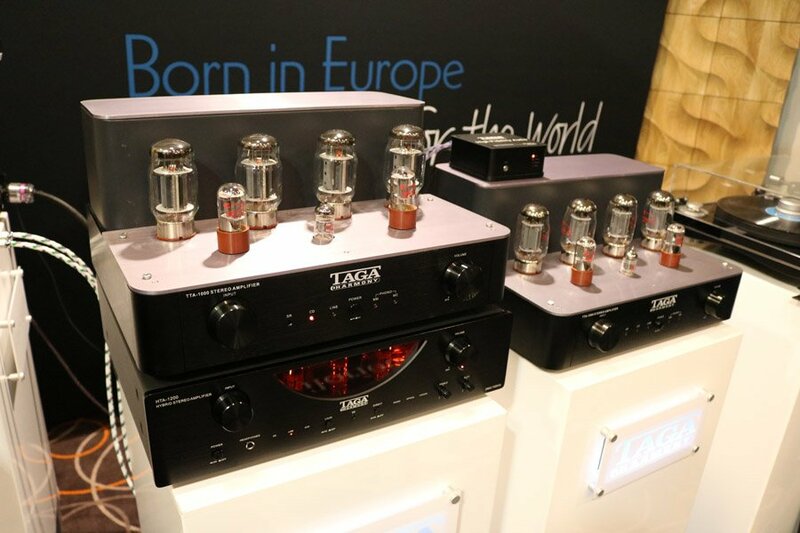 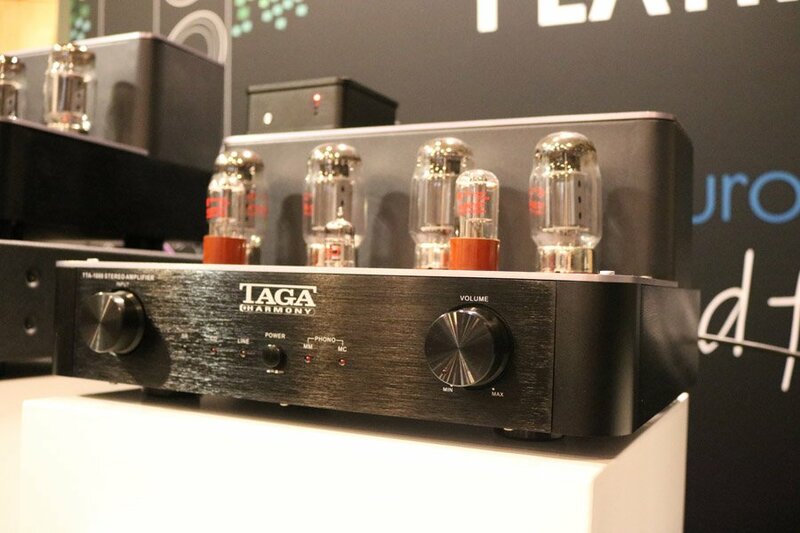 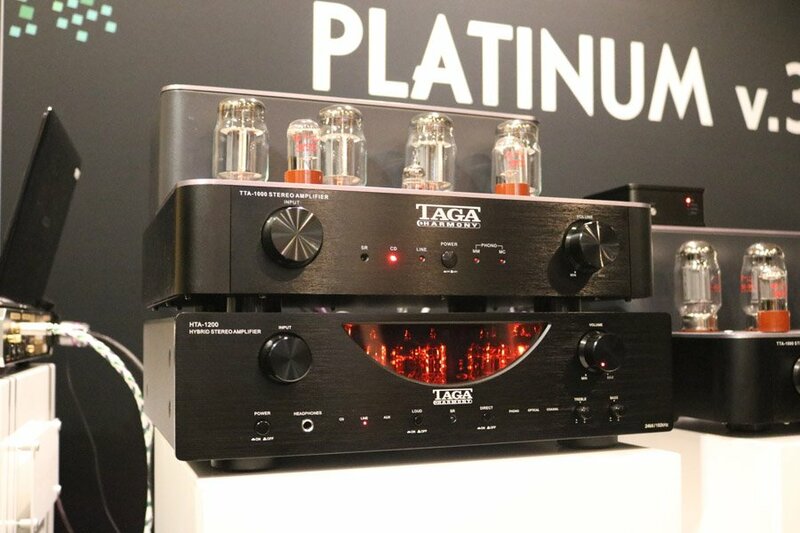 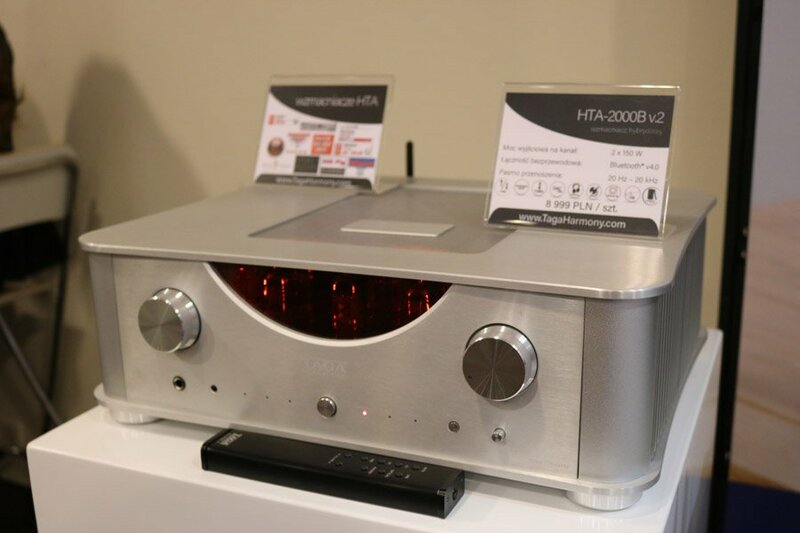 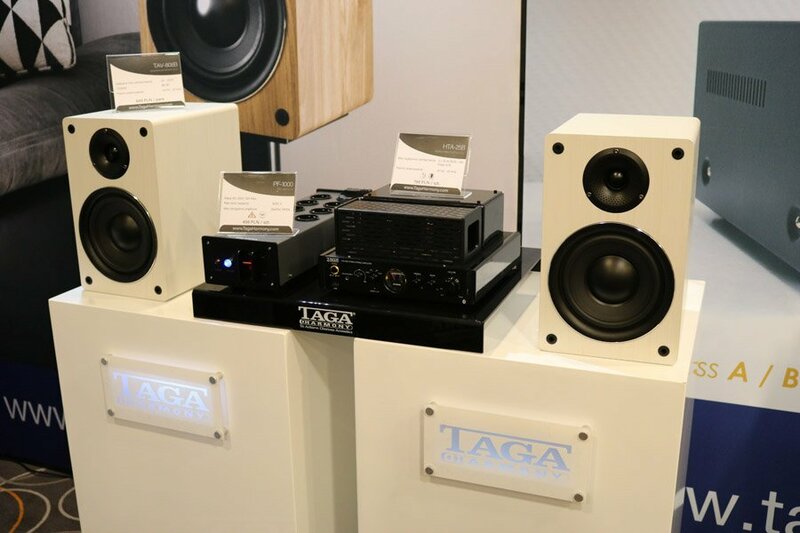 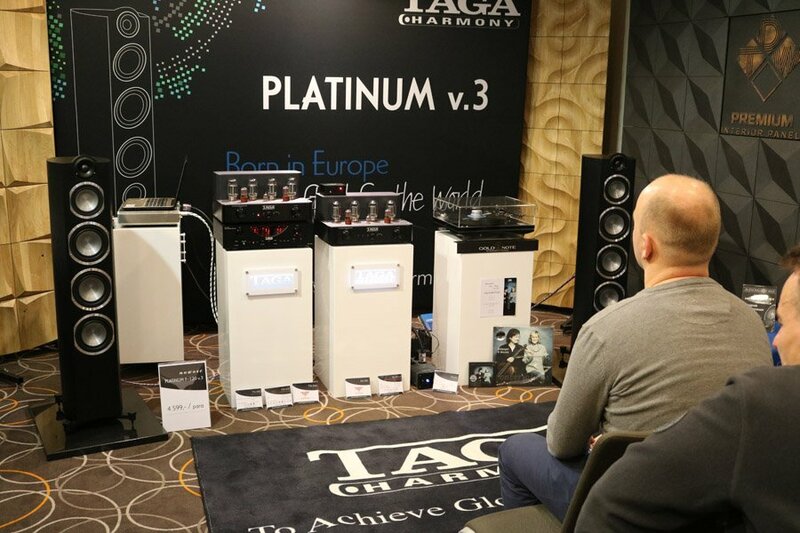 Polish brand TAGA Harmony are proof that getting great sound in the home doesn’t have to cost a king’s ransom. 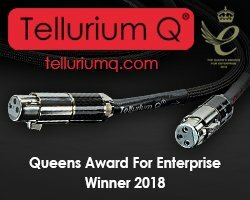 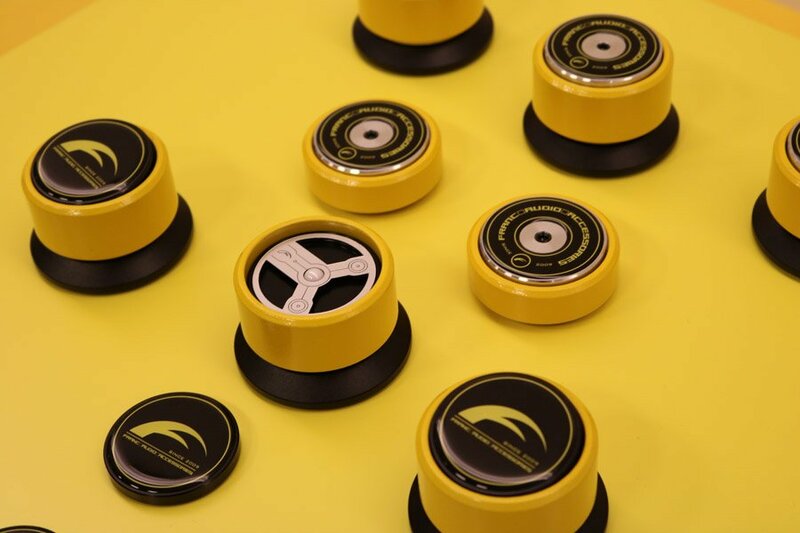 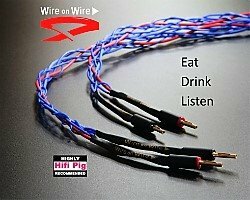 Hifi Pig have reviewed several of this company’s products and all have punched well above their price point would suggest.